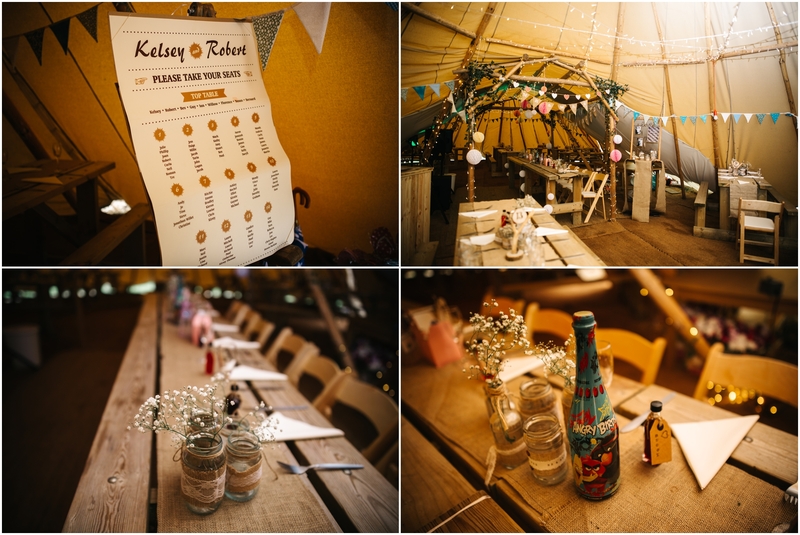 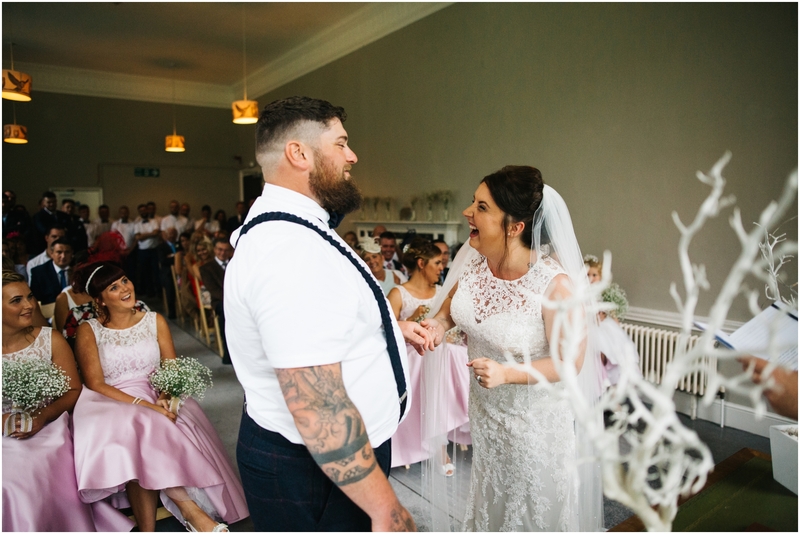 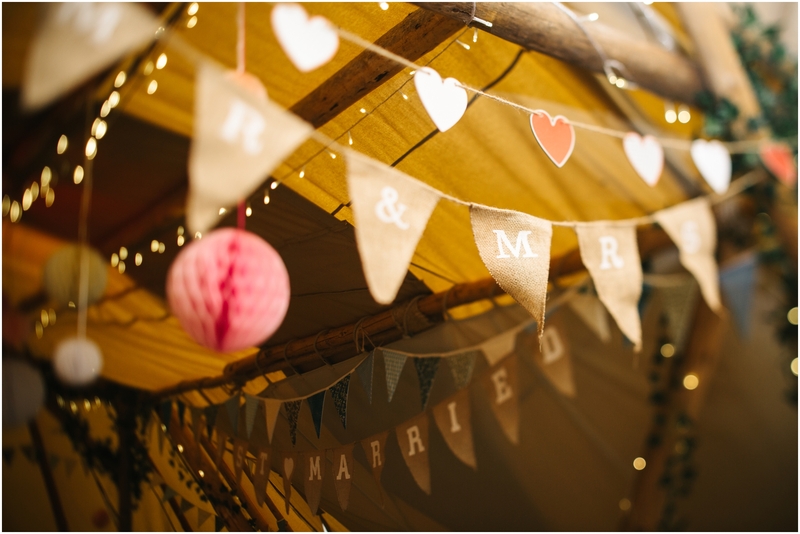 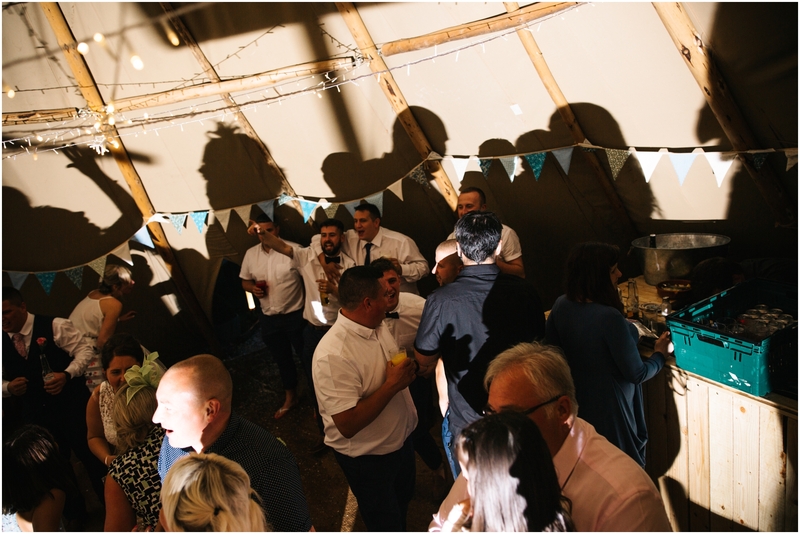 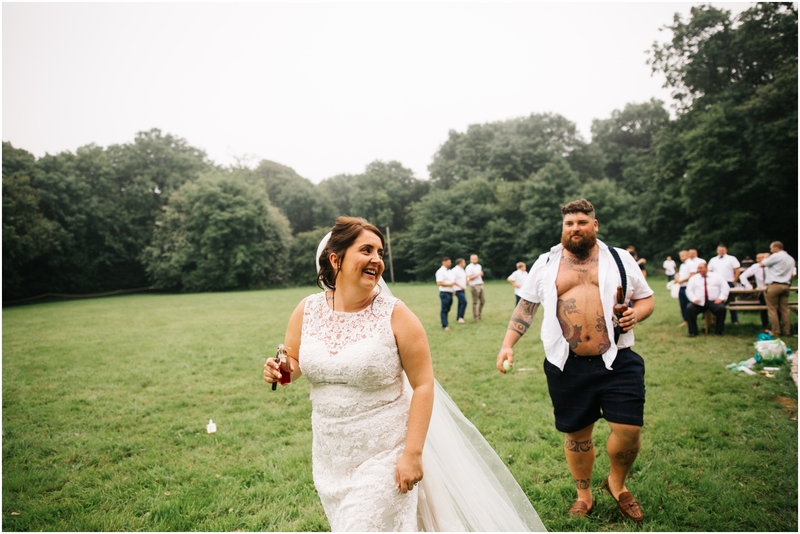 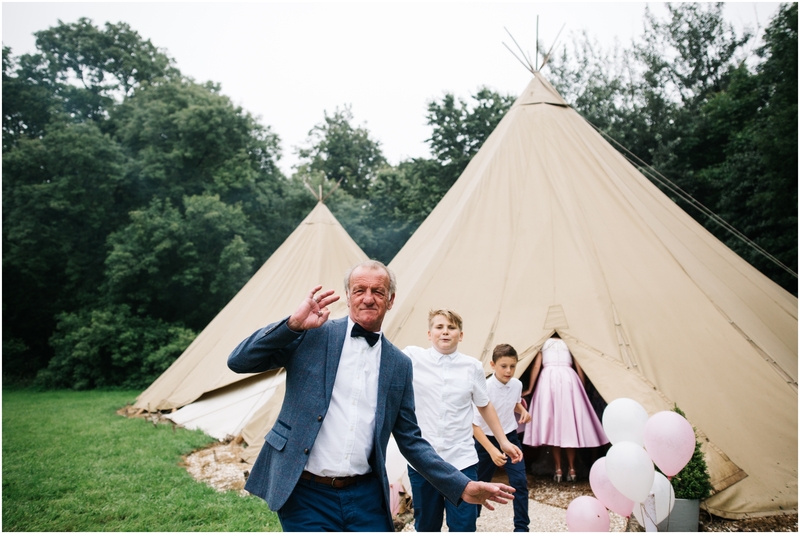 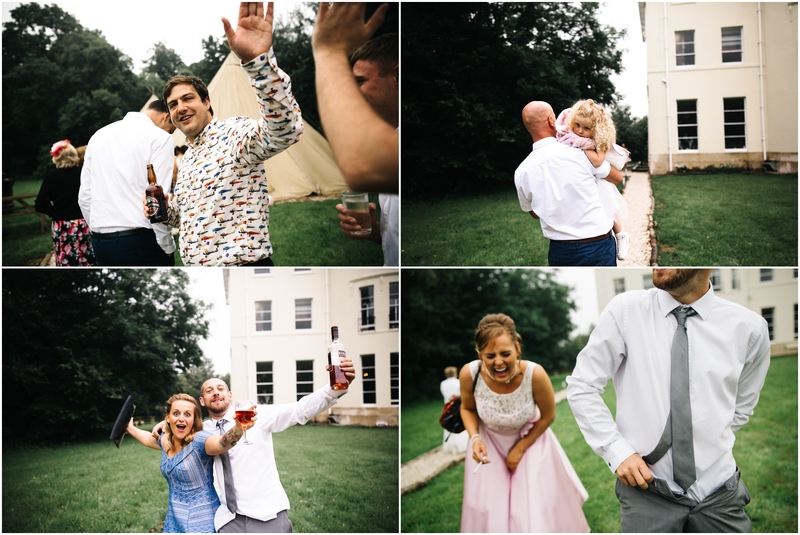 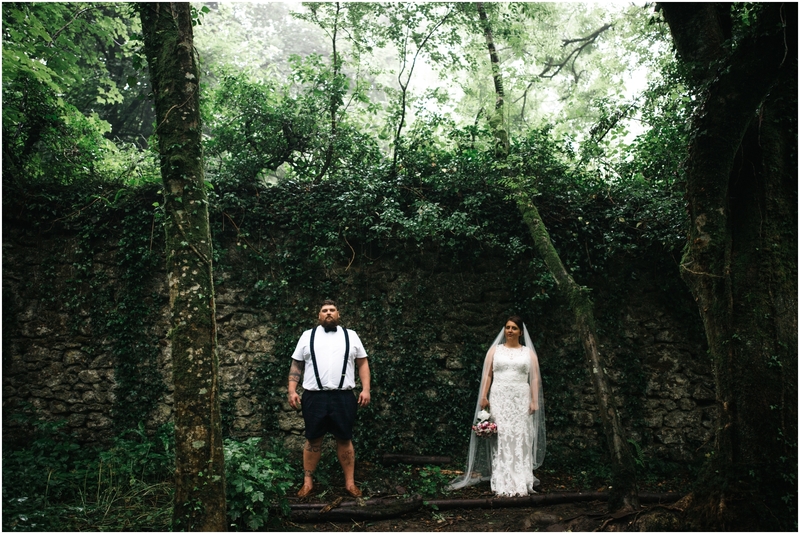 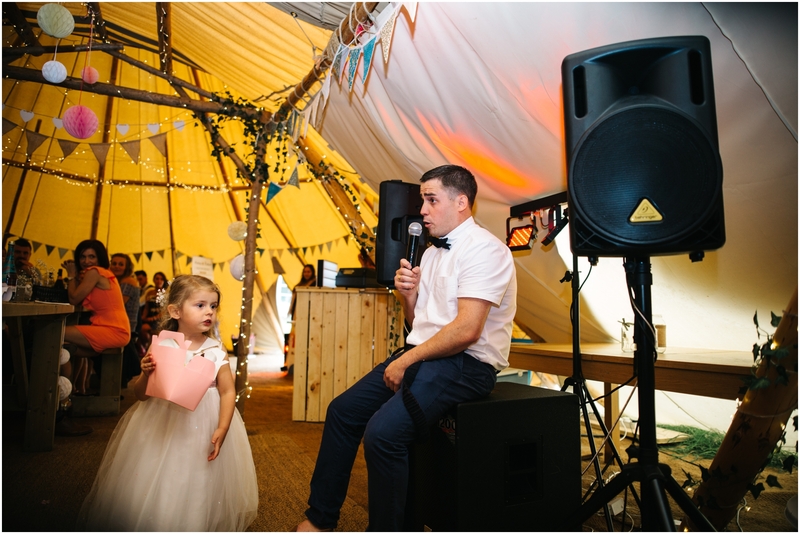 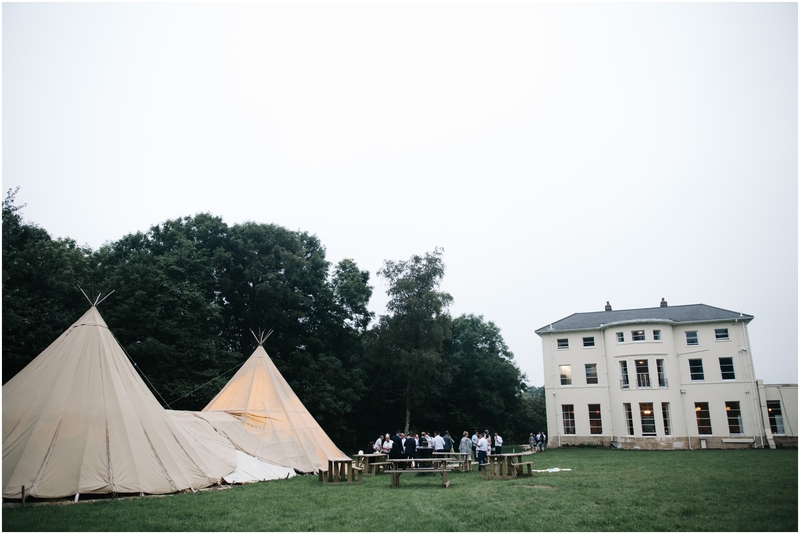 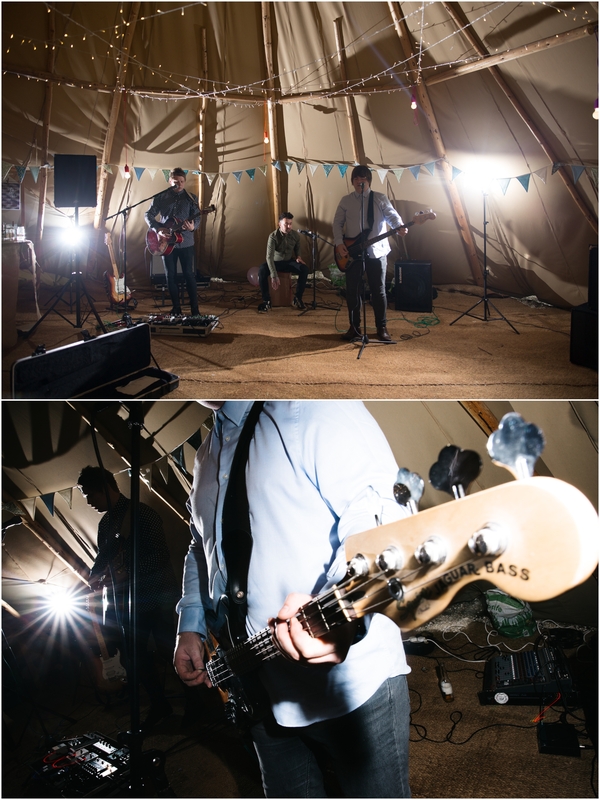 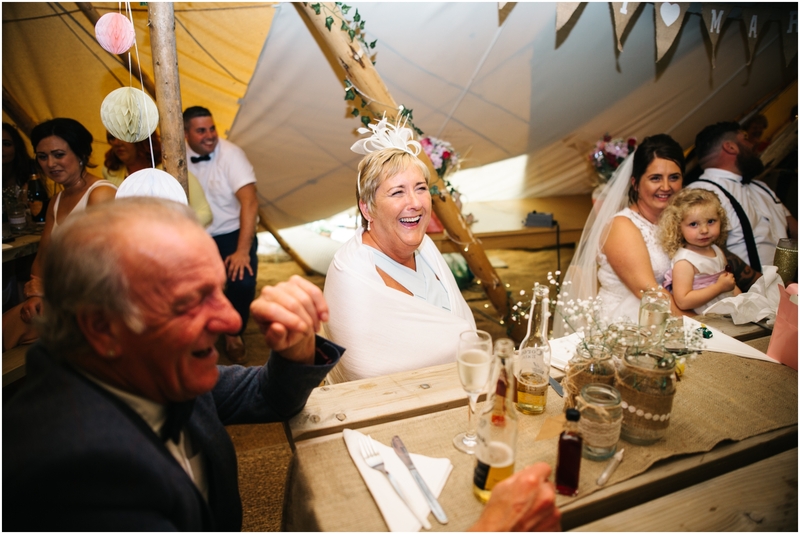 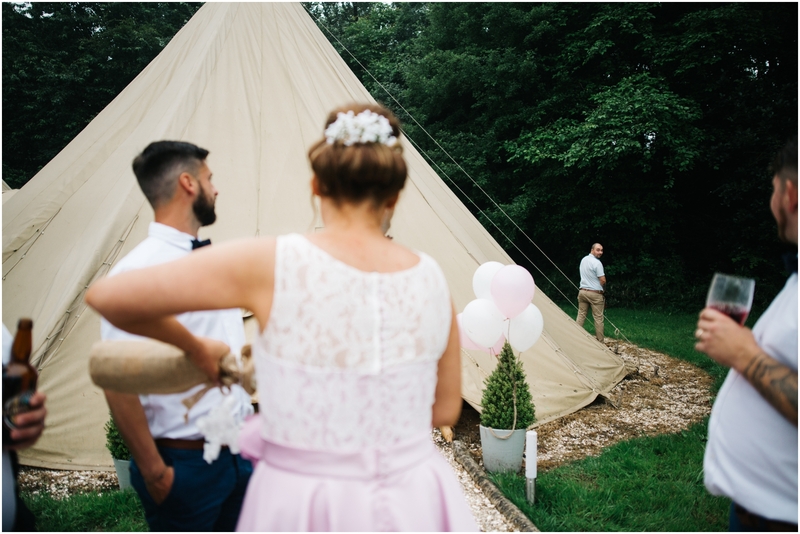 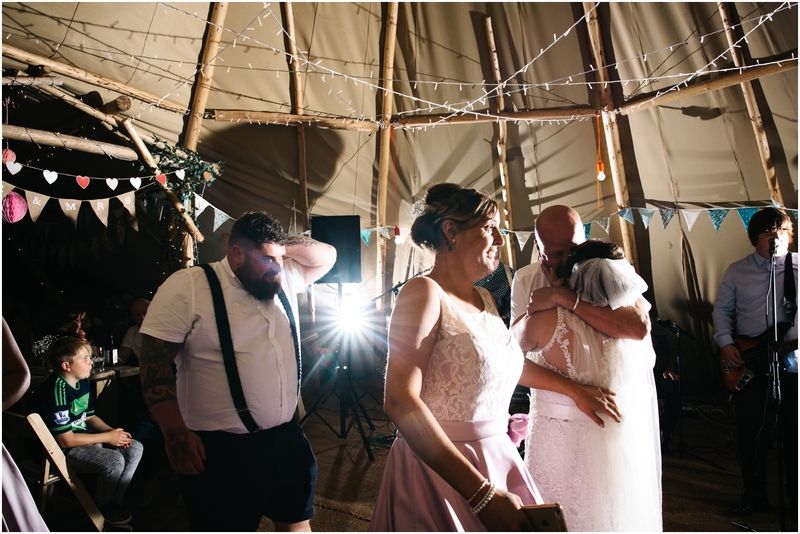 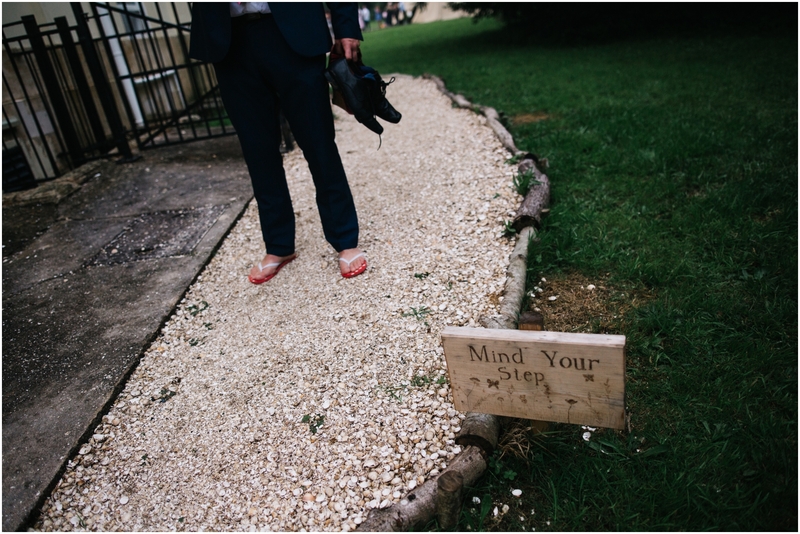 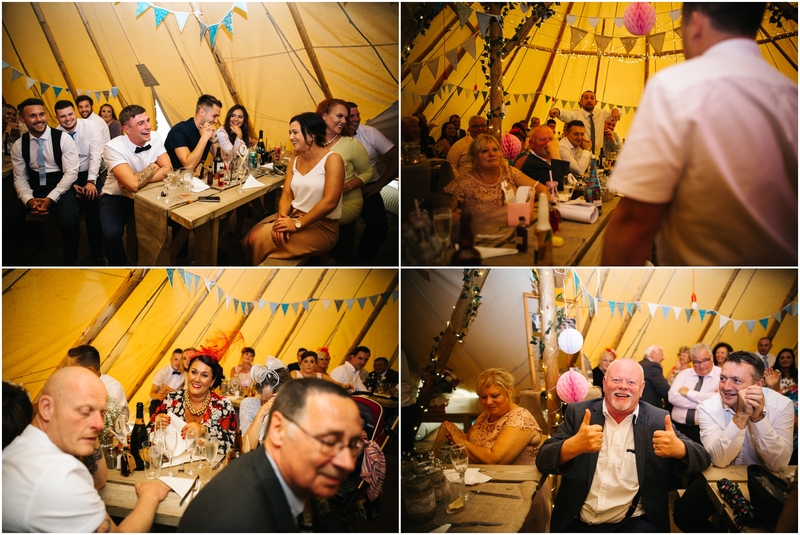 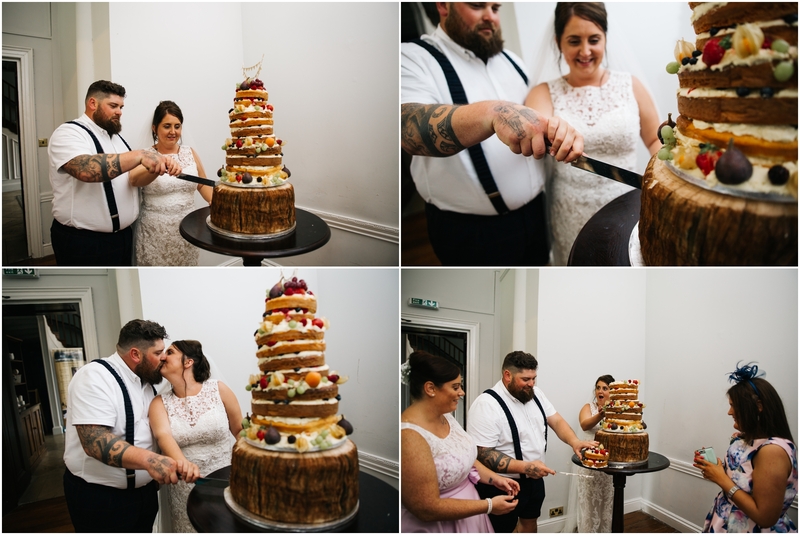 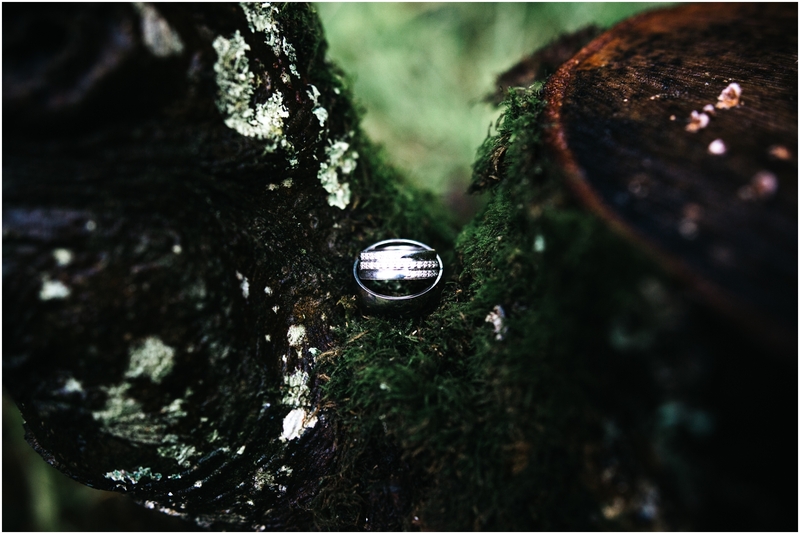 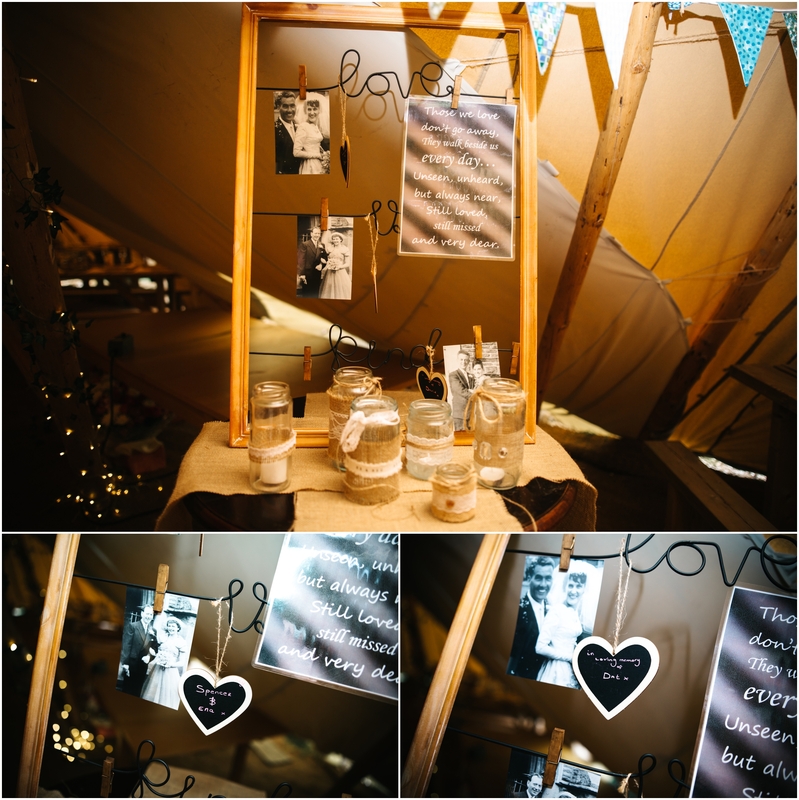 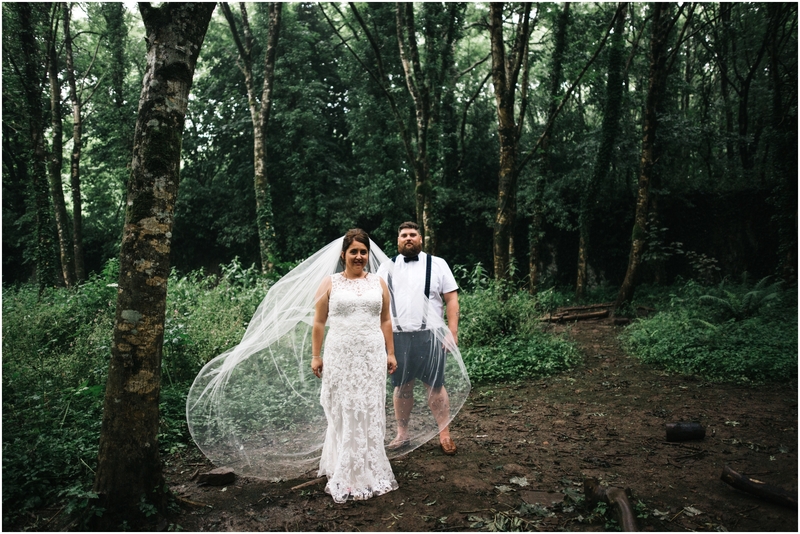 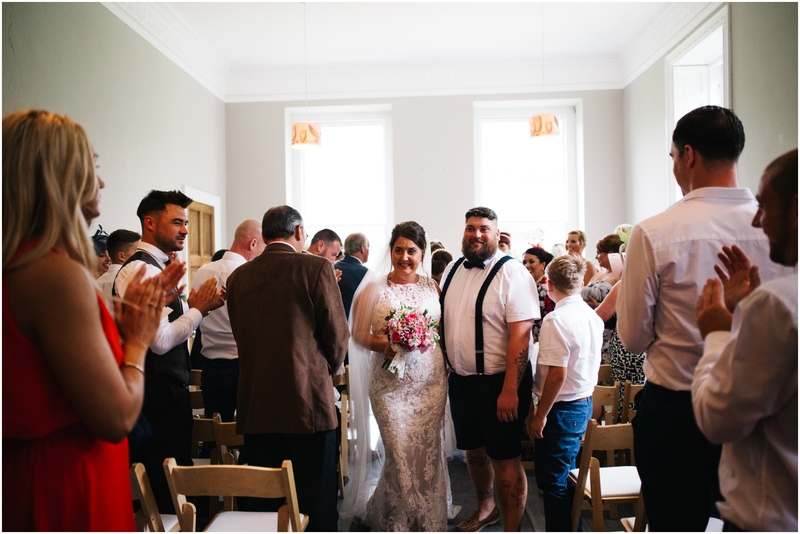 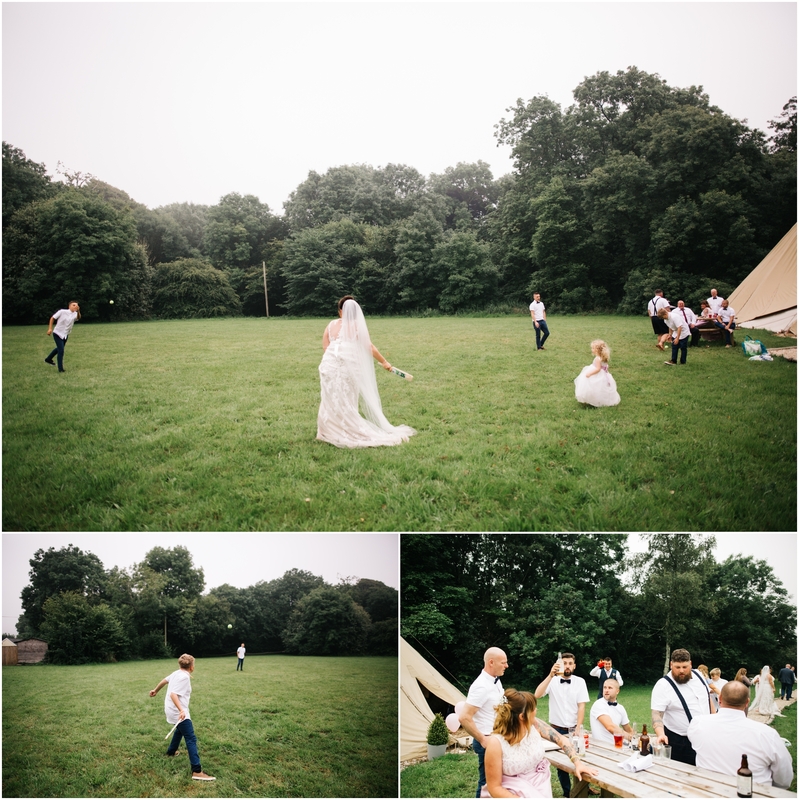 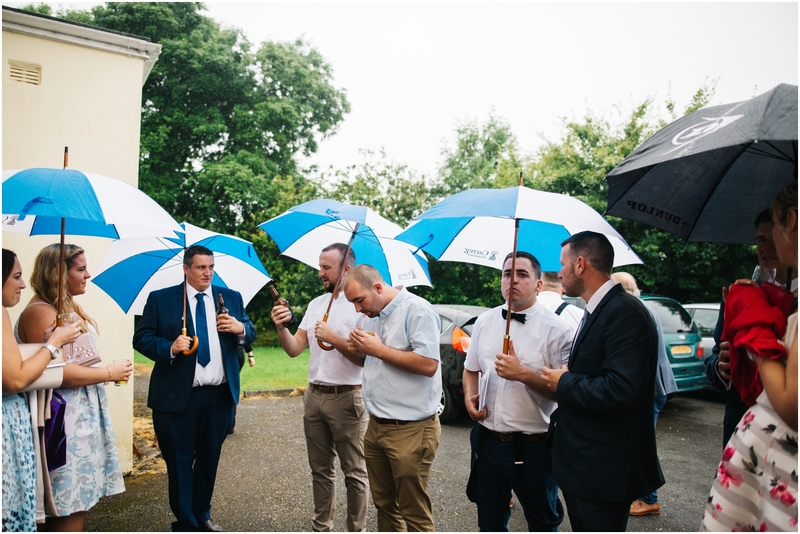 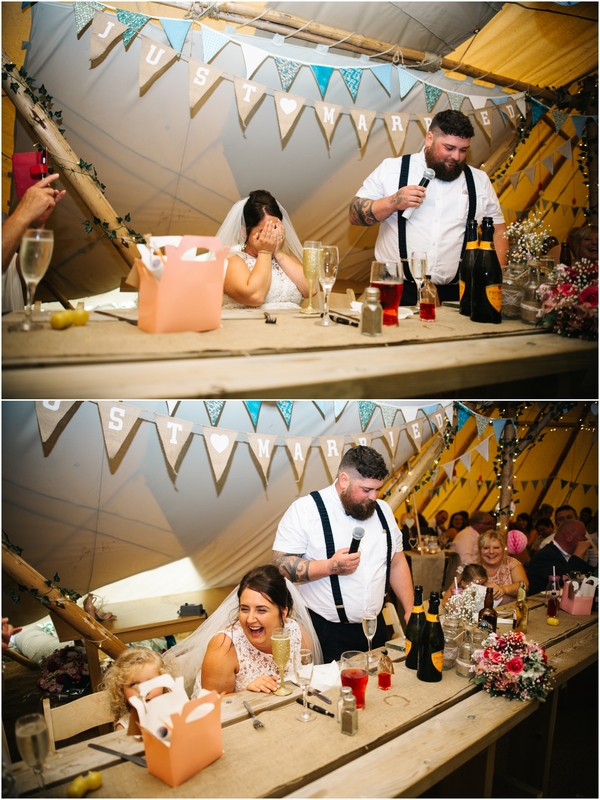 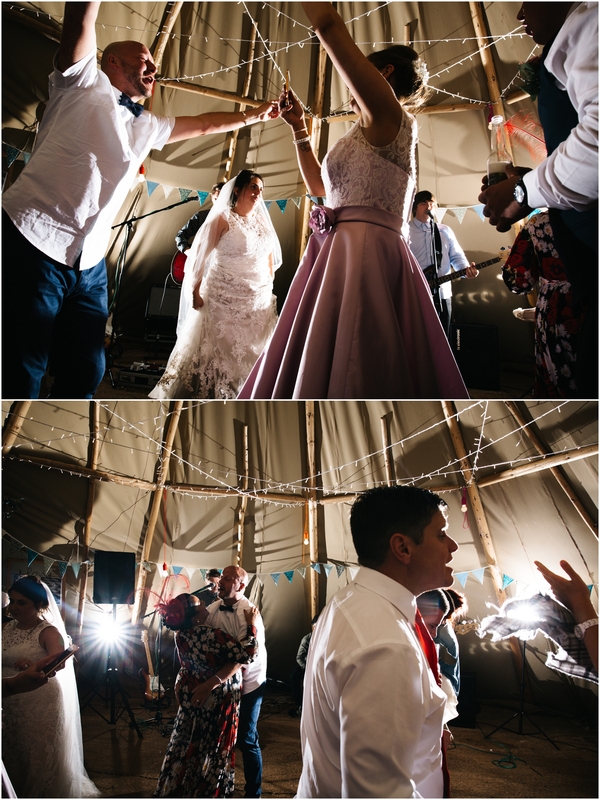 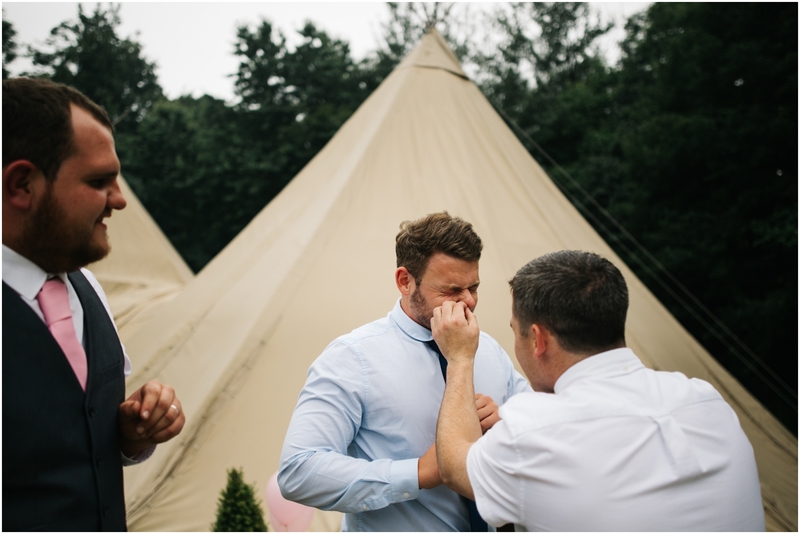 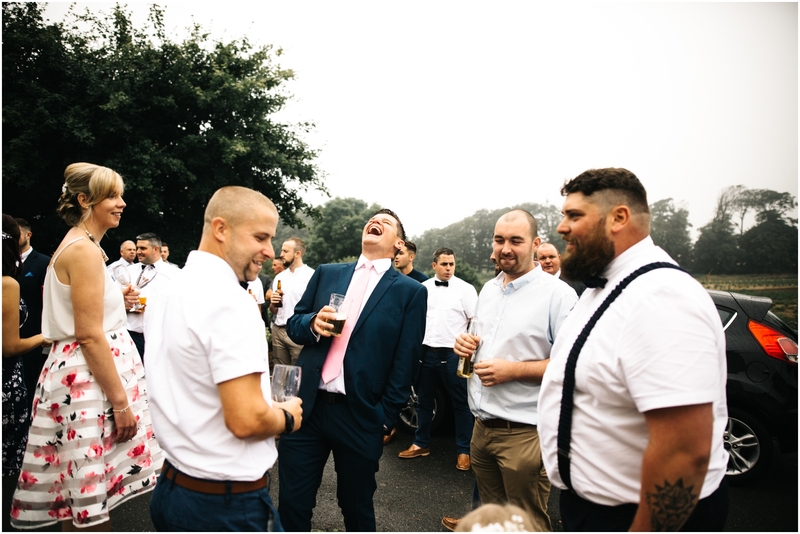 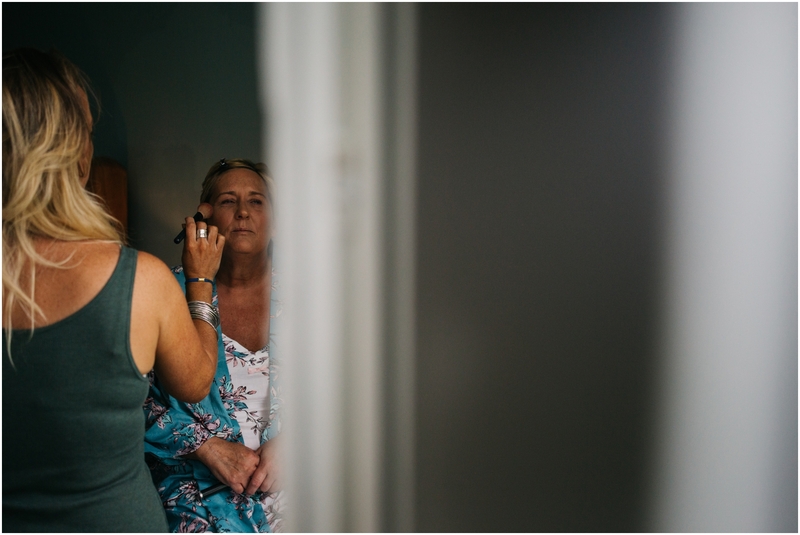 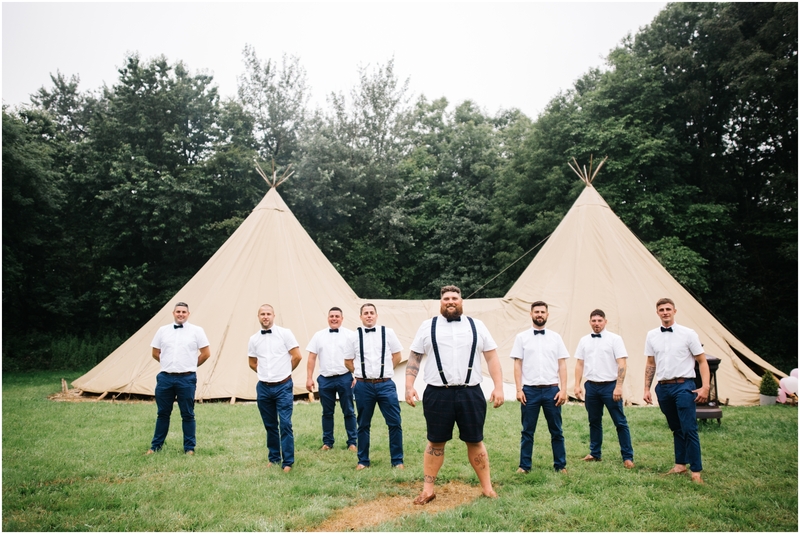 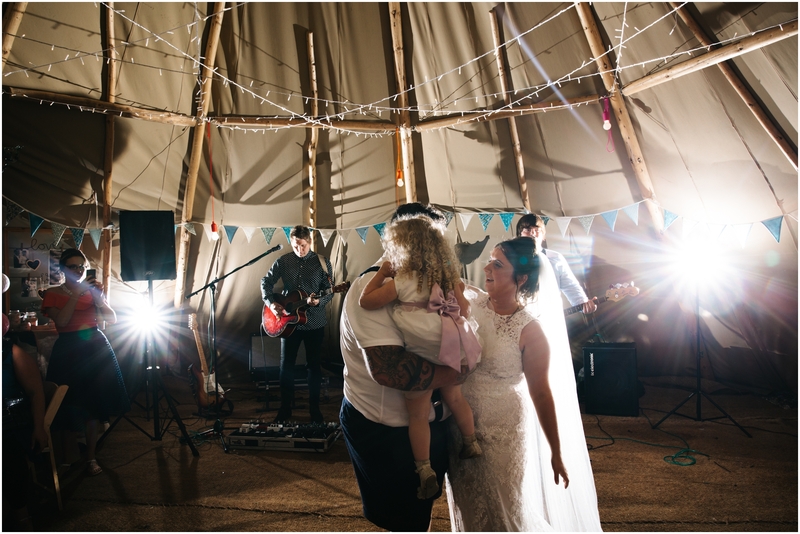 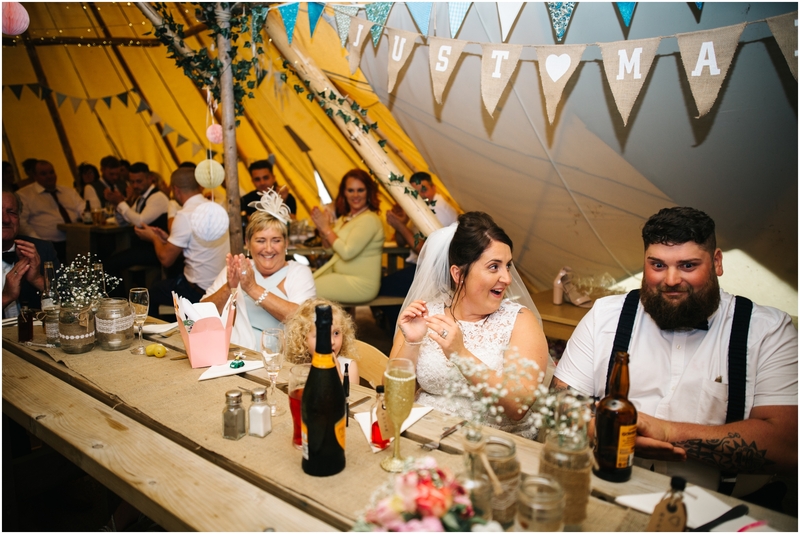 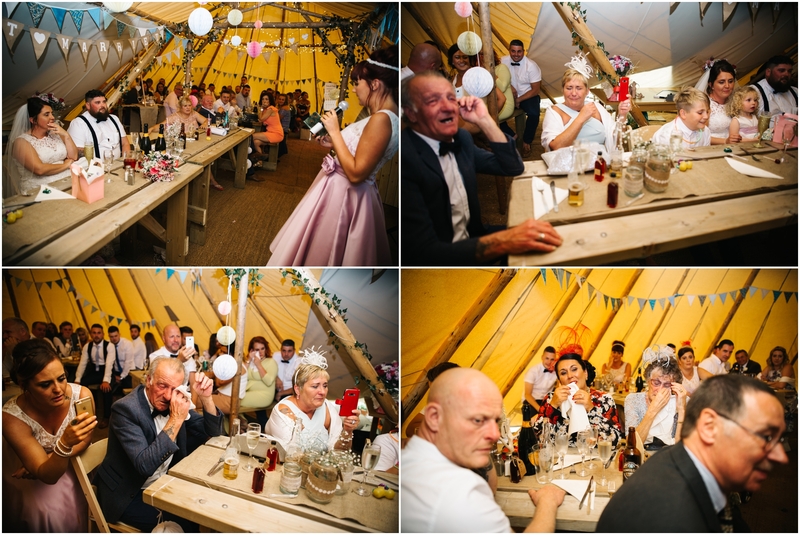 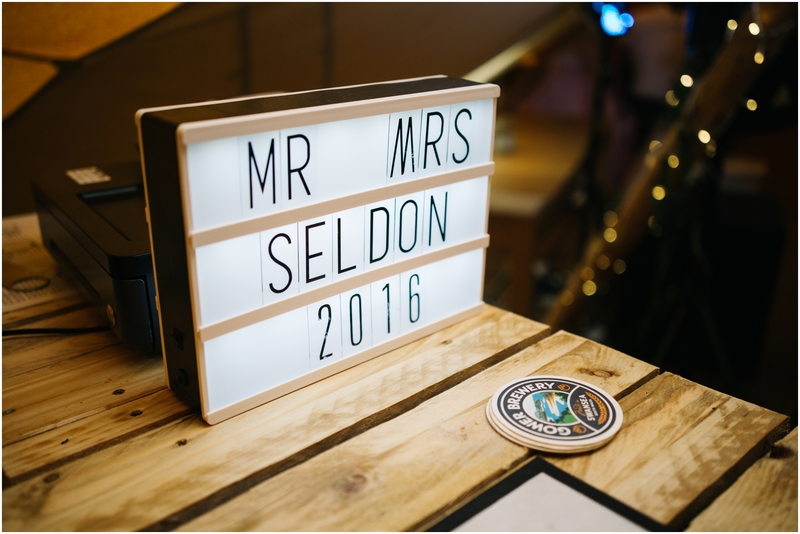 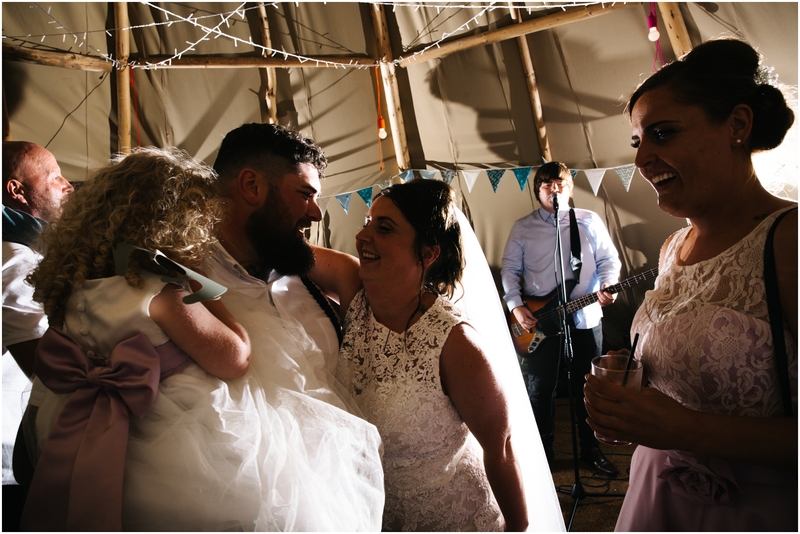 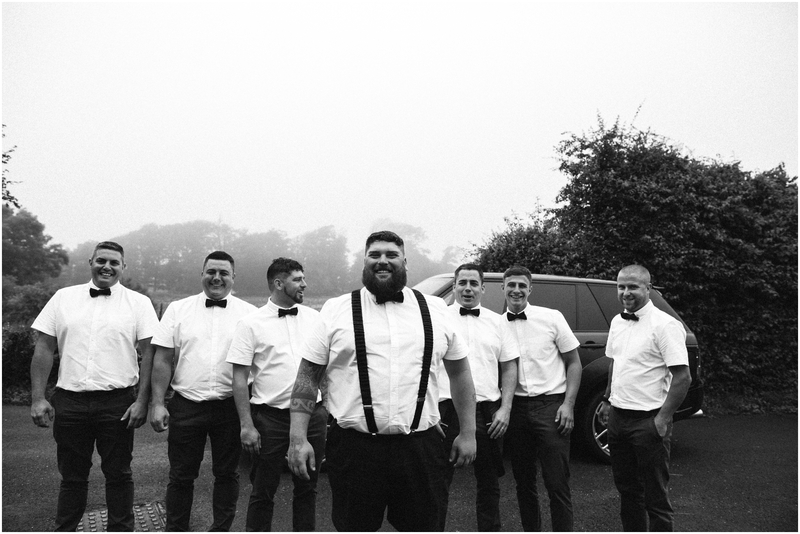 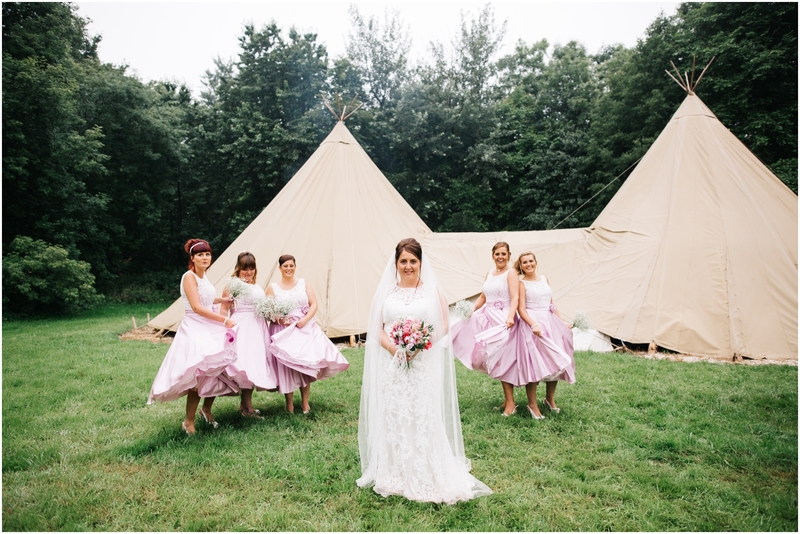 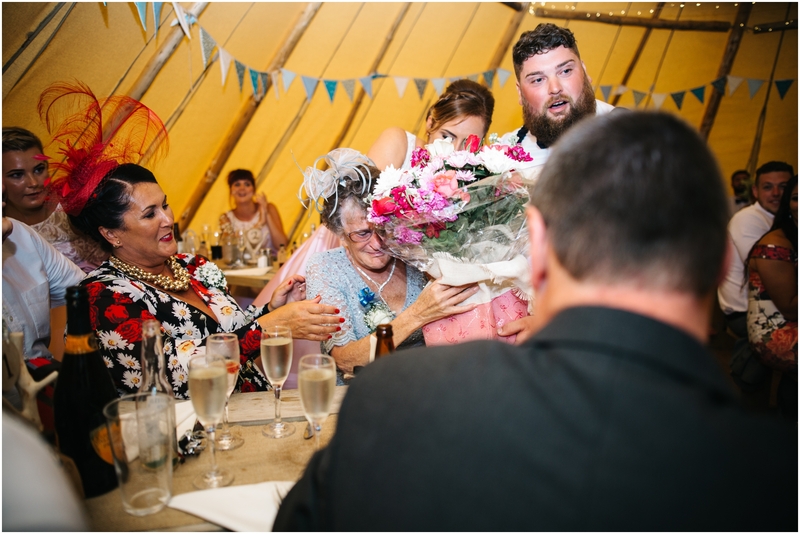 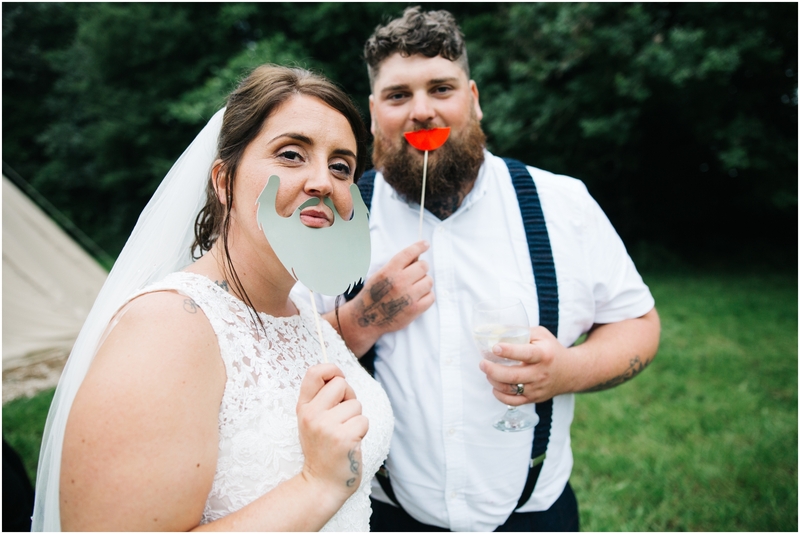 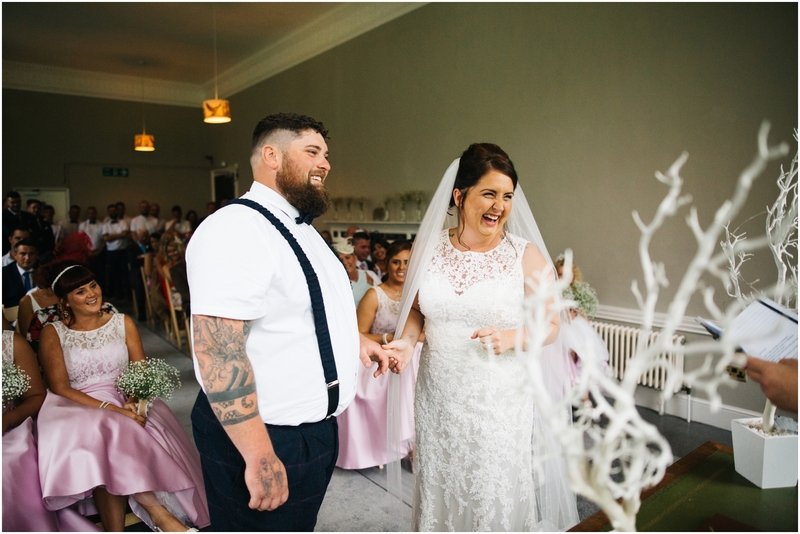 When we first met Kelsey & Rob they told us all about their plans for a super cool relaxed tipi wedding in the middle of July, we instantly loved the sound of everything they had planned and were excited for their big day! 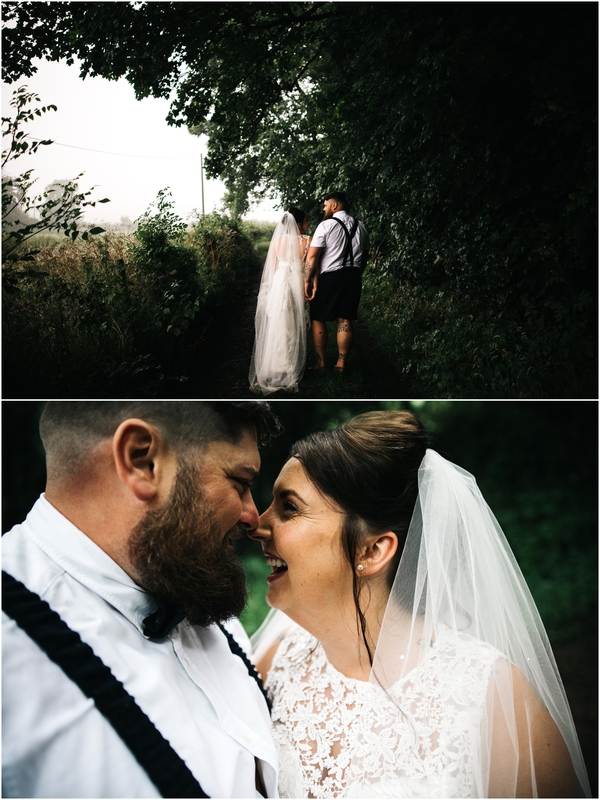 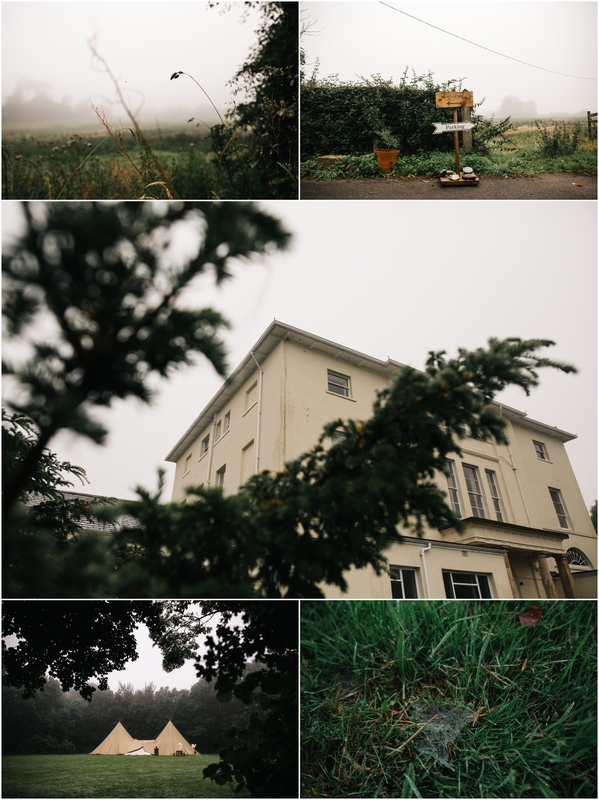 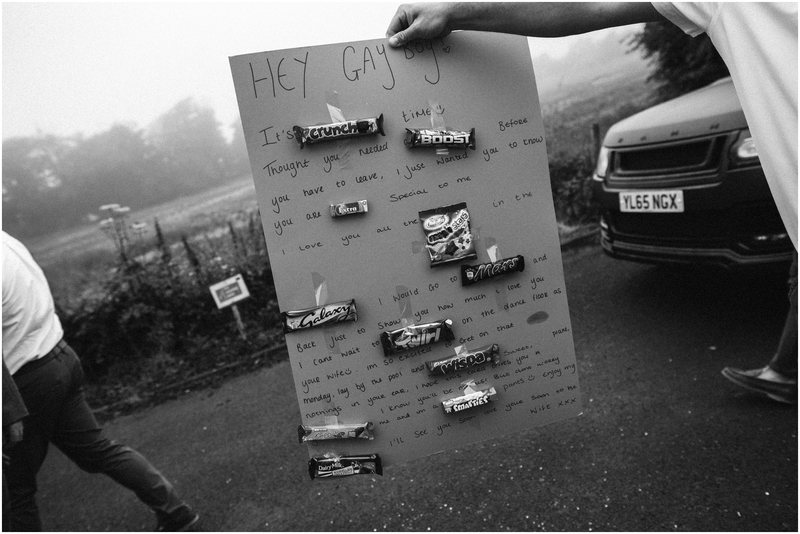 The July day turned out to be the foggiest, wettest day of the month, but despite the dismal weather there was no chance of Kelsey or Rob were allowing it the spoil their party. 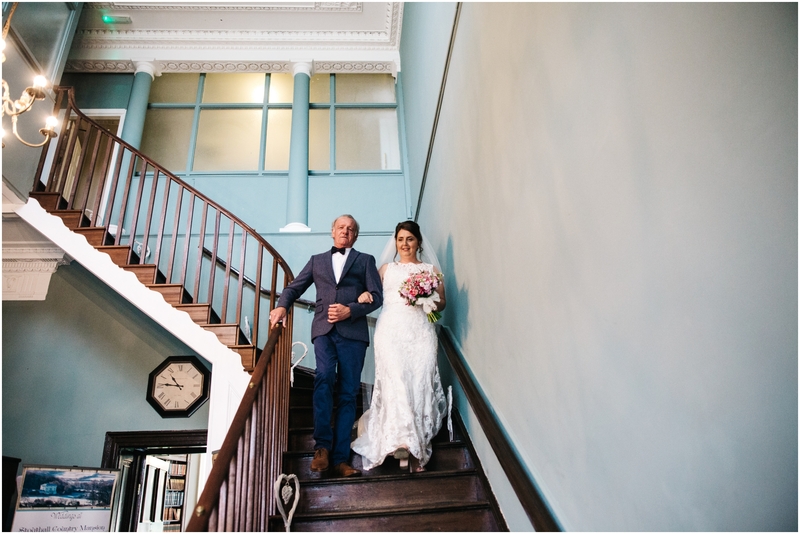 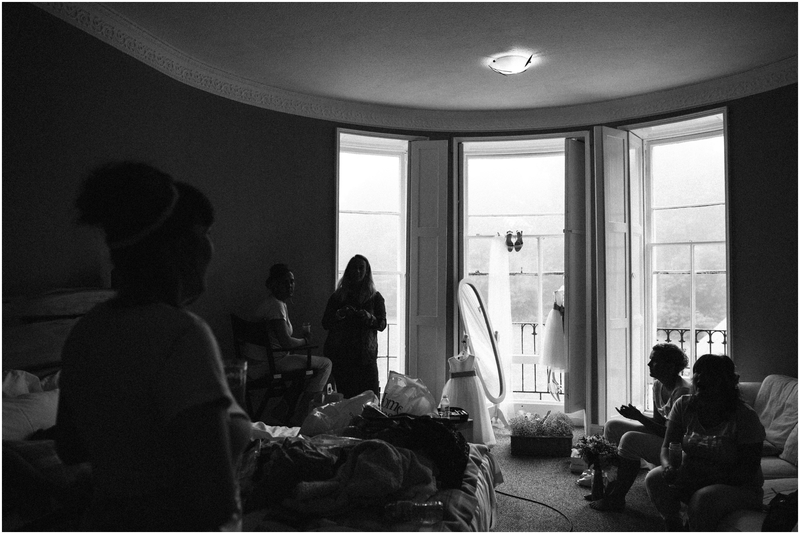 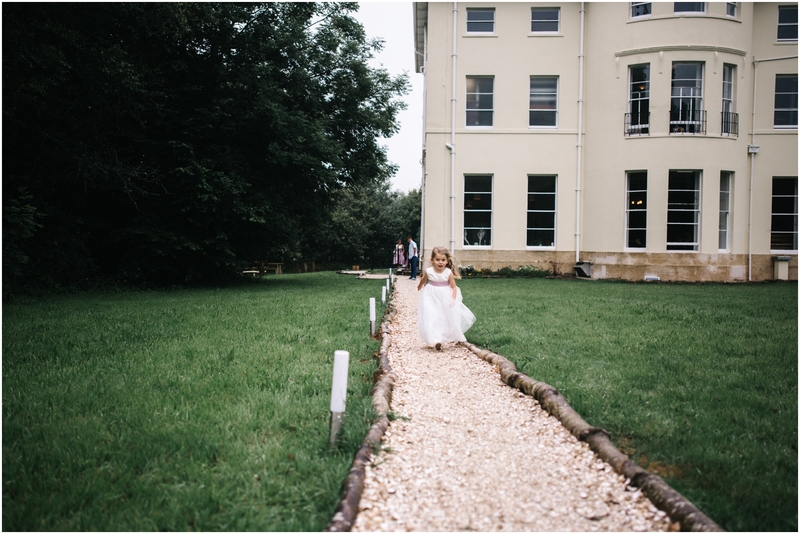 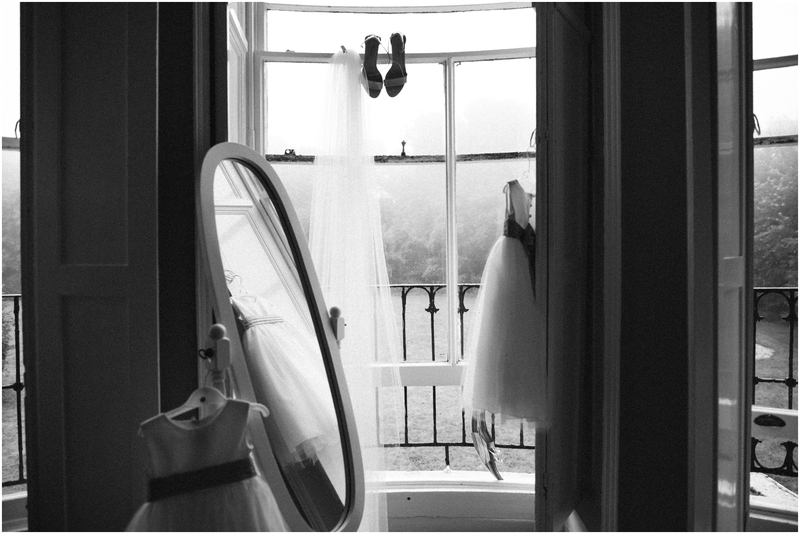 Preps began at their venue, Stouthall, Gower, a gorgeous old building recently restored to its former glory. 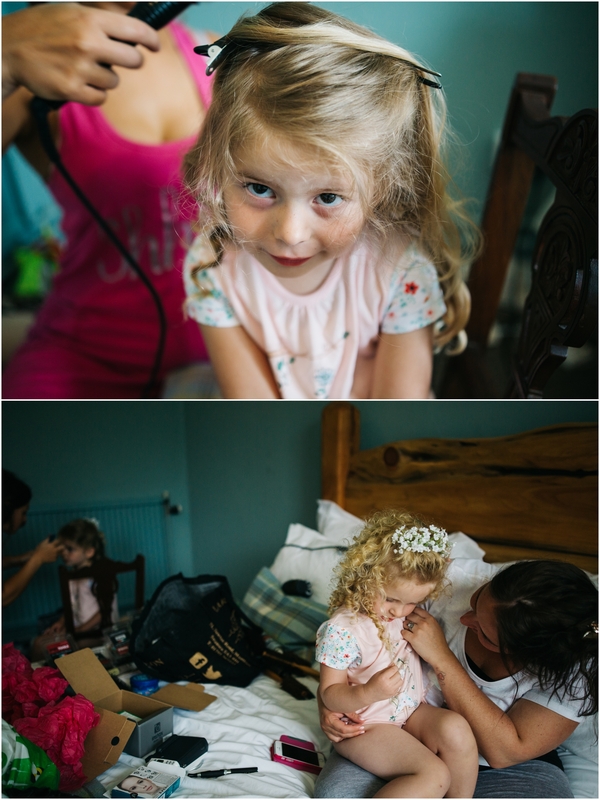 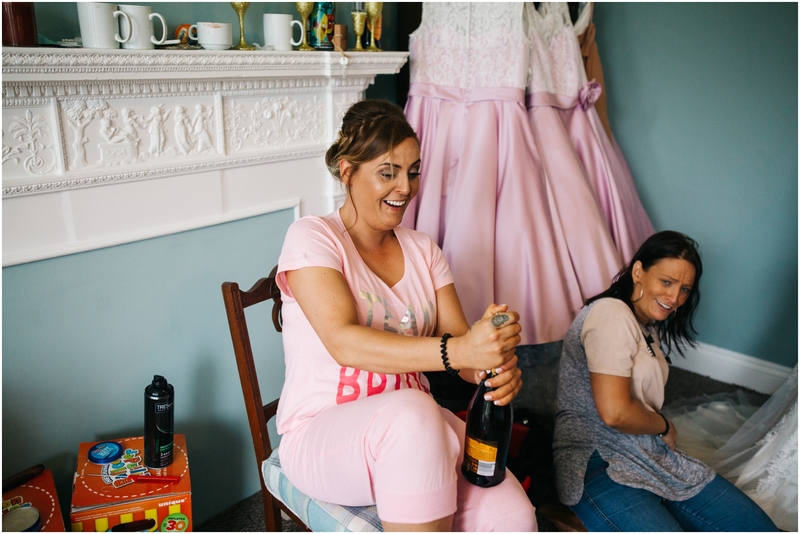 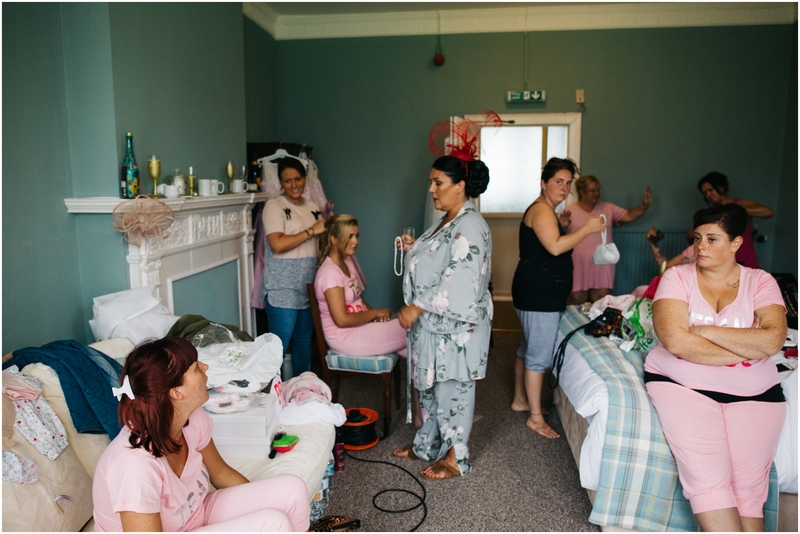 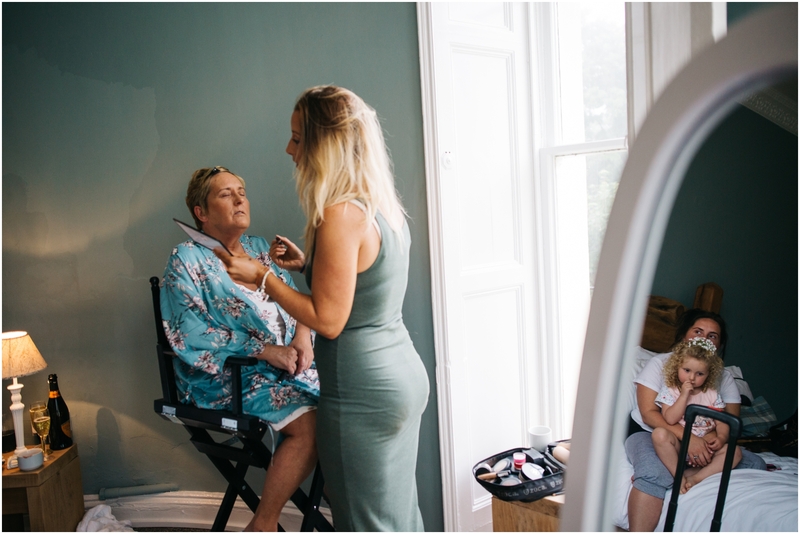 The wonderful Katie Lancy was on hand to have the girls feeling pampered and looking on point for the day. 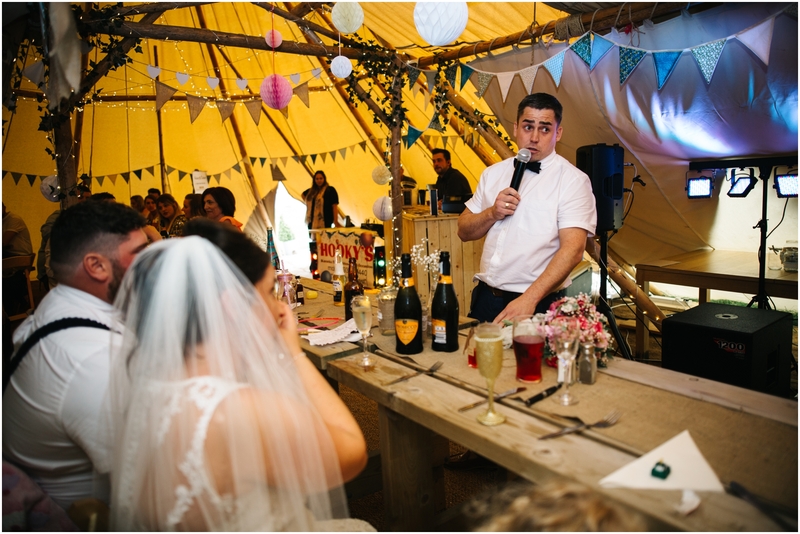 Now let us explain that Rob isn’t the conventional man, and so was never going to be the conventional groom. 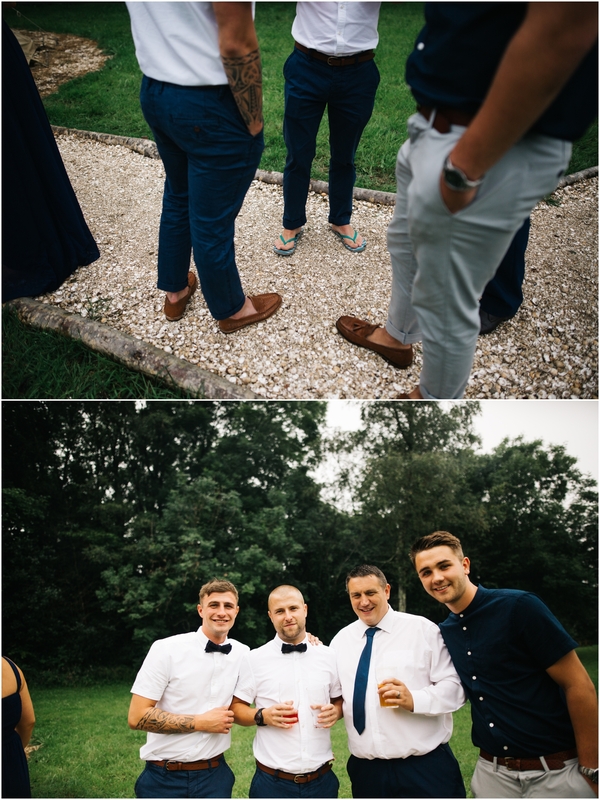 Rob “doesn’t do” trousers, so why should he do them on the biggest day of his life? 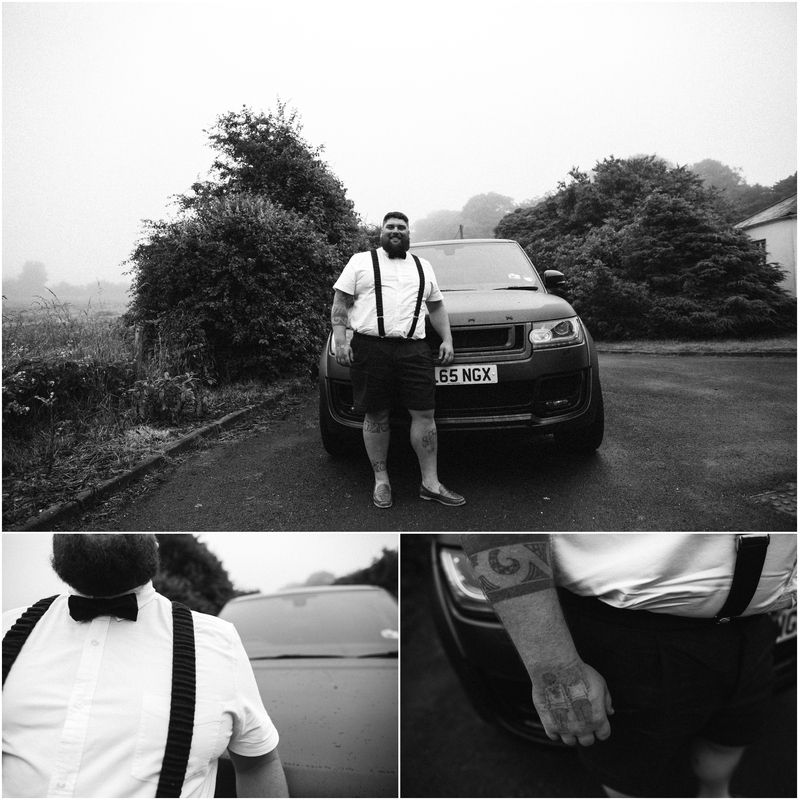 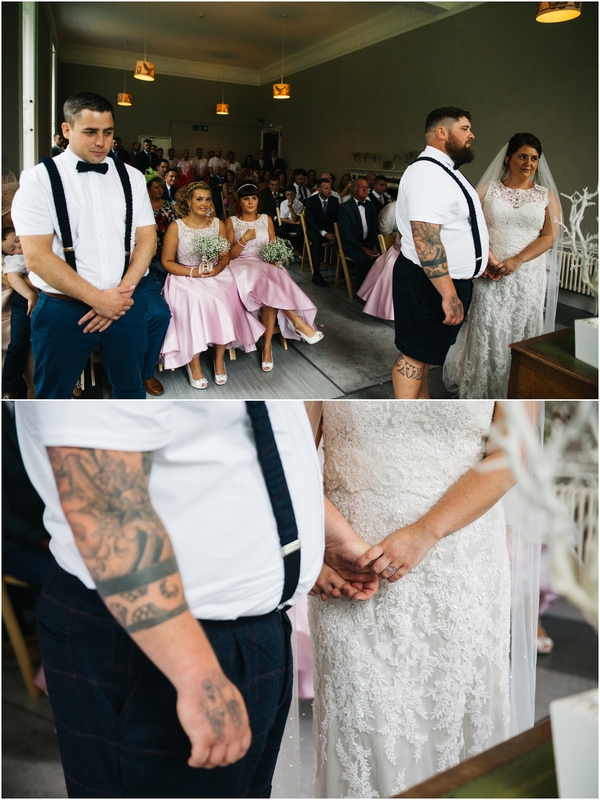 In fitting with the relaxed celebrations planned Rob decided to don a stylish pair of tailor made tweed shorts teamed with shirt and braces, we think he looked pretty awesome! 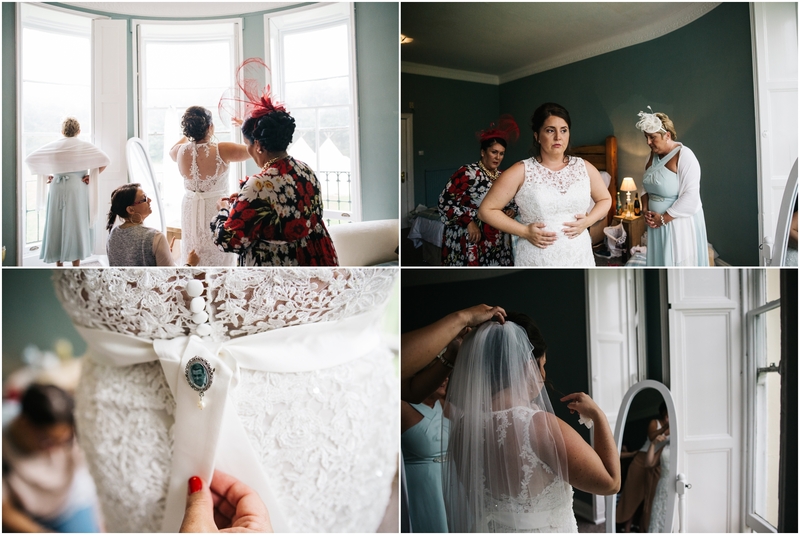 Kelsey on the other choose a beautiful traditional lace gown, finished off with a satin belt and custom made brooch holding a photo of her late grandfather. 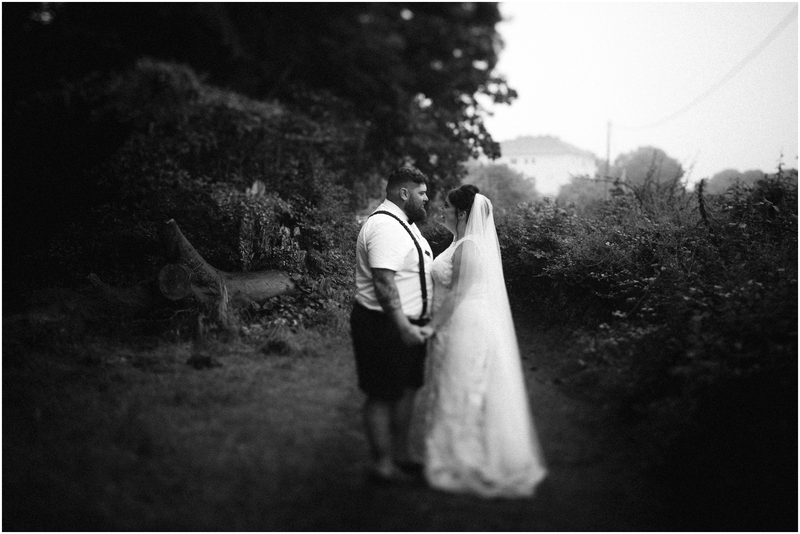 As the time to wed grew closer Kelsey’s nerves also grew. 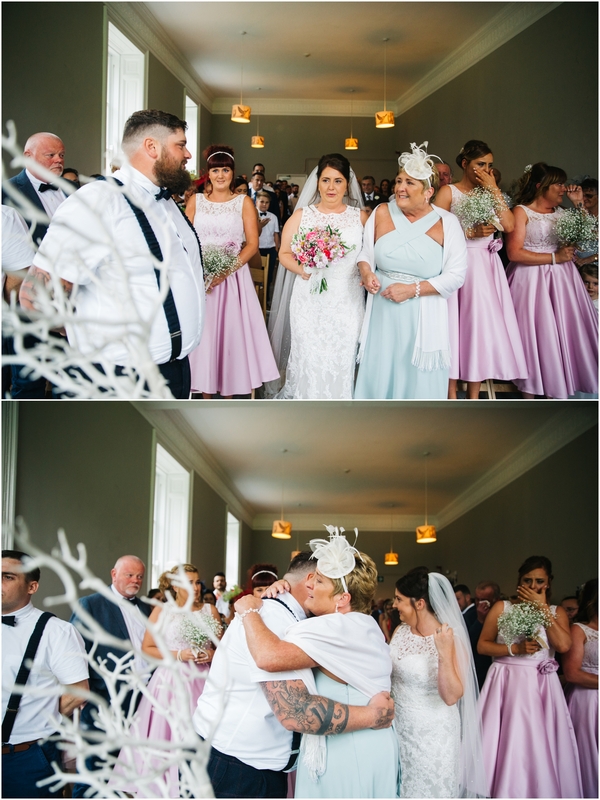 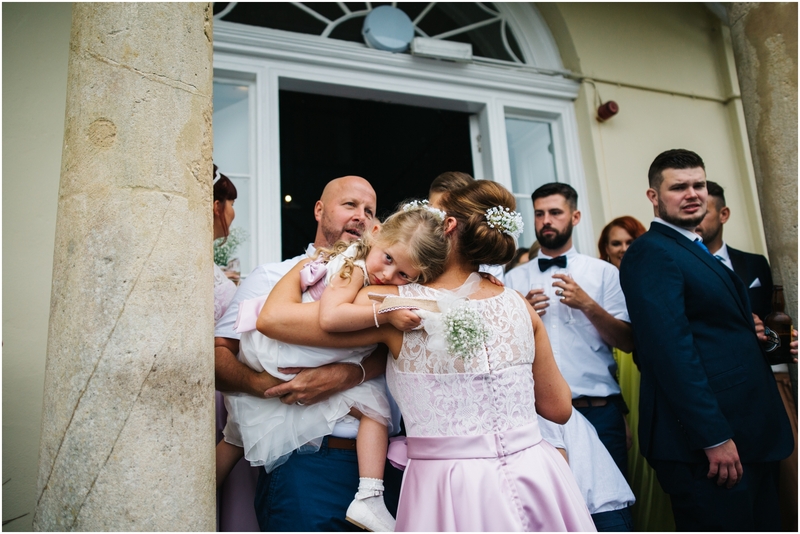 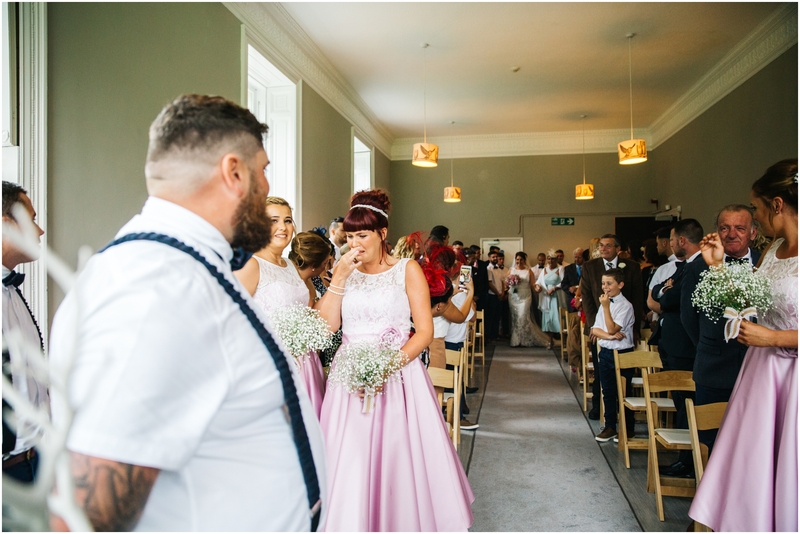 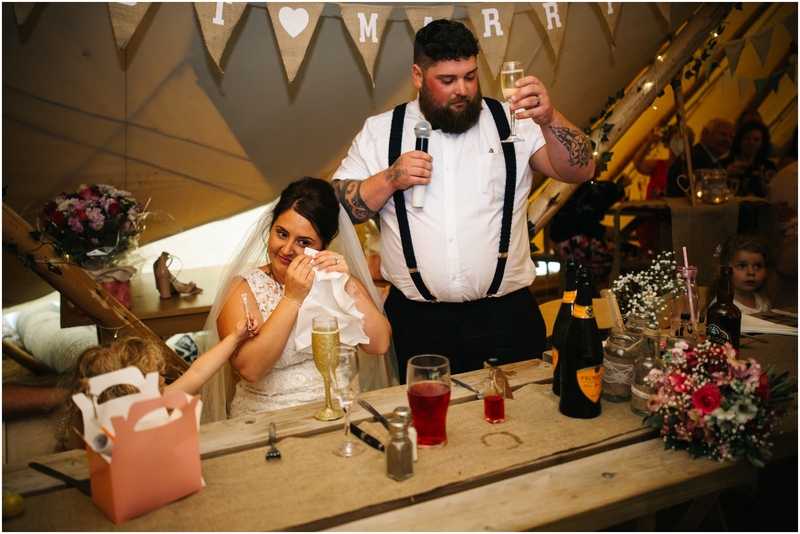 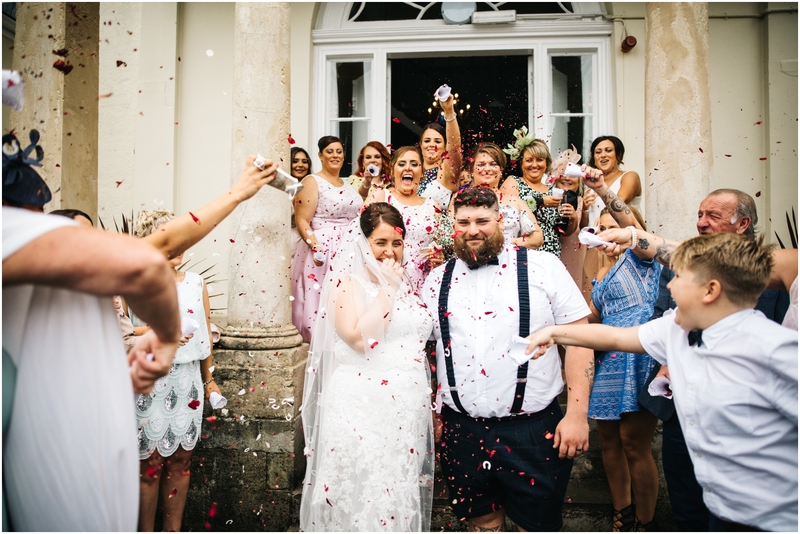 The one thing we will always remember about Kelsey and Rob’s day was the applause that Kelsey received when she reached the end of the aisle, in all our weddings we had never come across it and it was such a beautiful moment that it almost had us in tears! 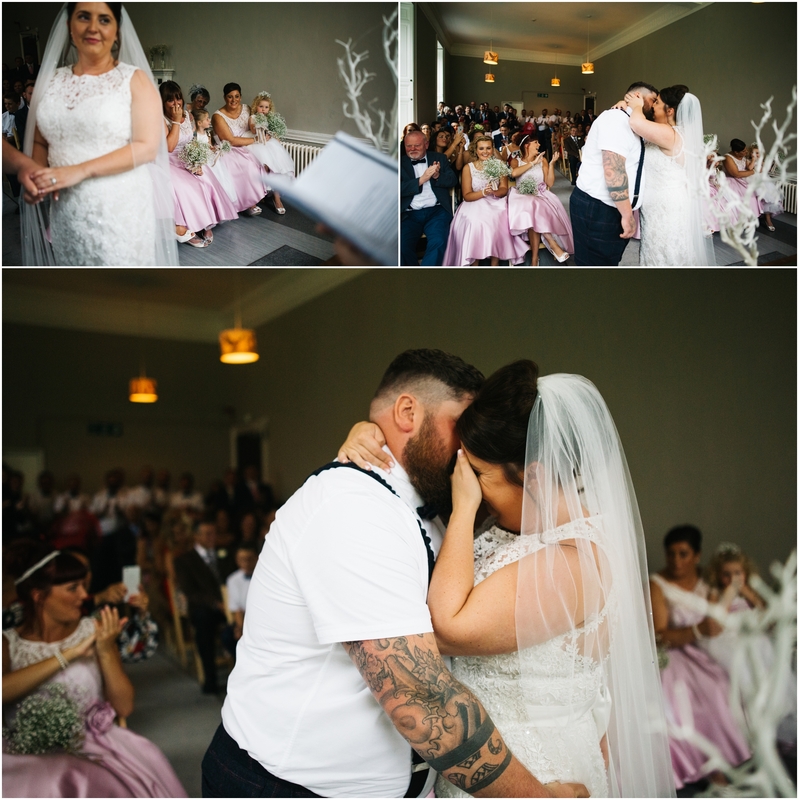 As much as these two are a fun loving couple we could see how deep their love ran during their very emotional exchange of vows. 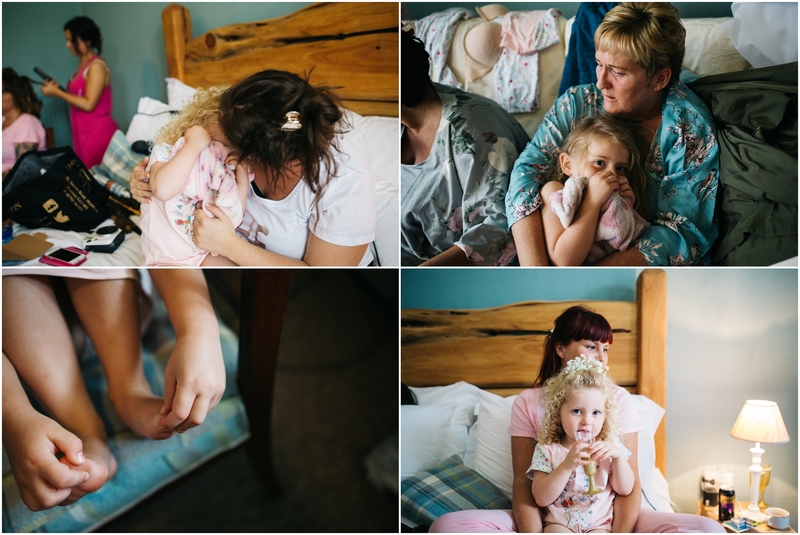 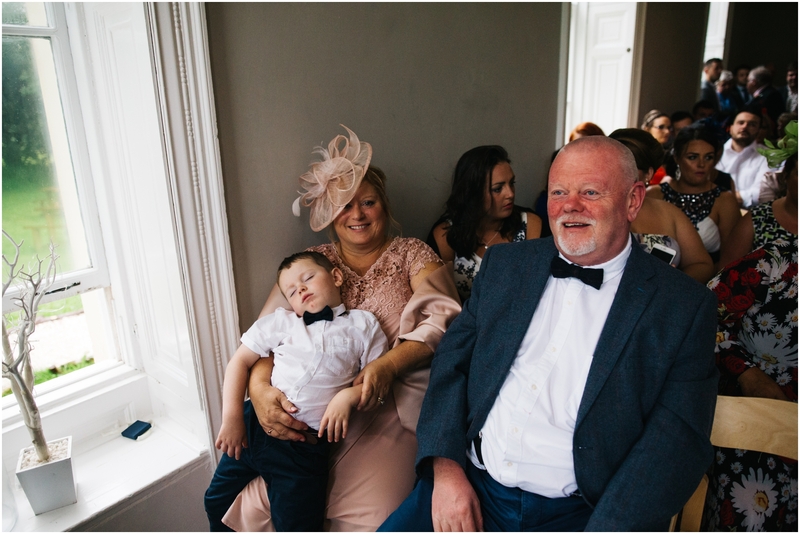 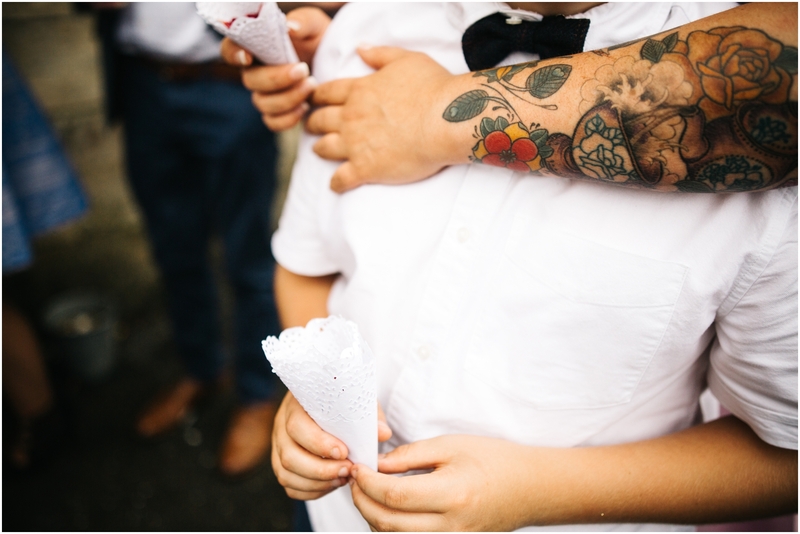 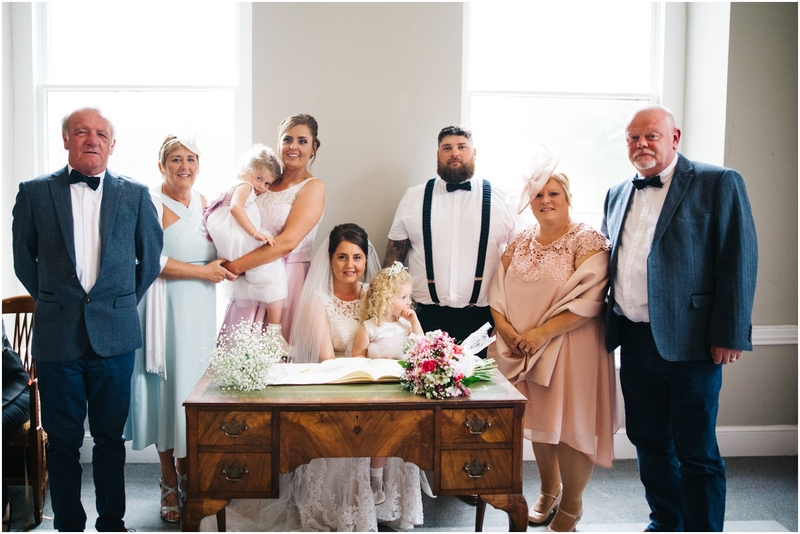 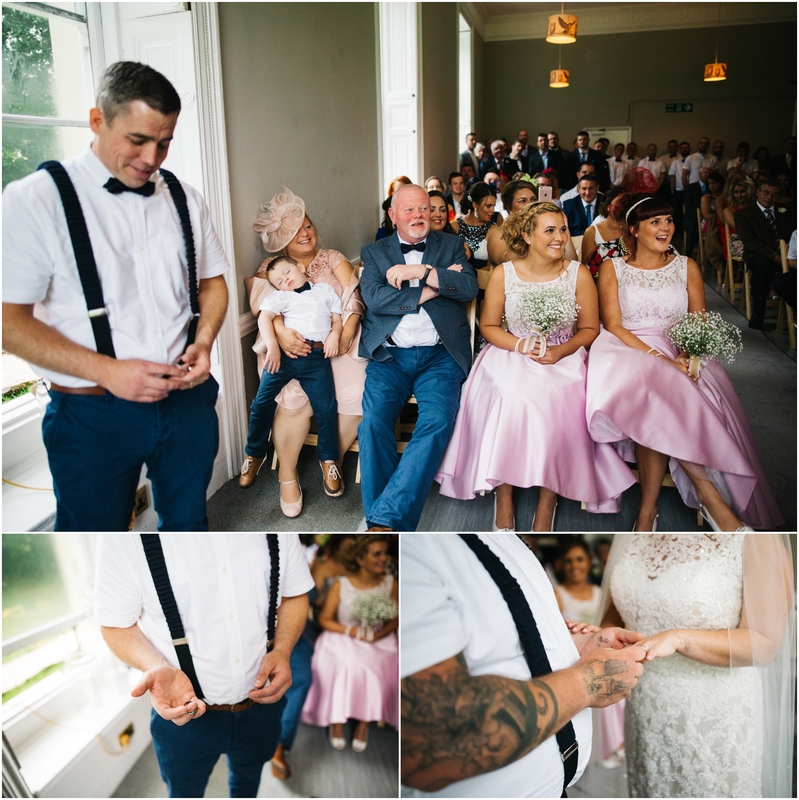 It was clear that the vows meant the world to them and completed the gorgeous family they had already created. 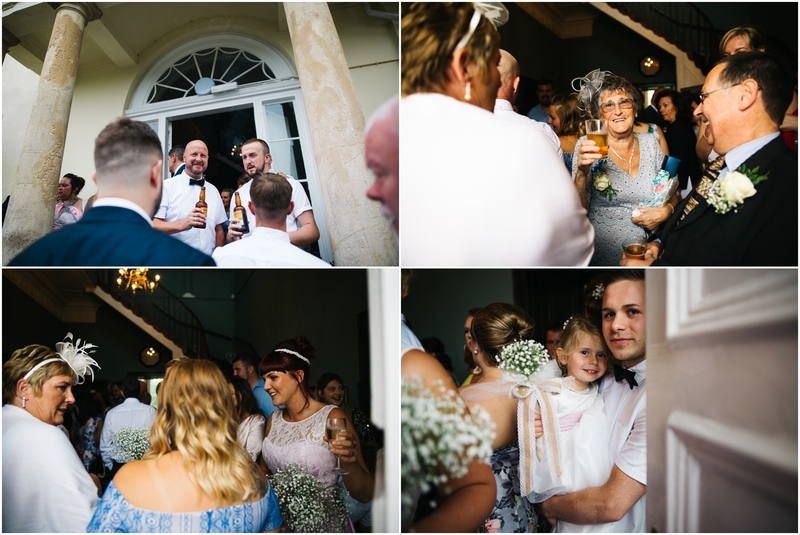 With the service over it was time for the party to begin! 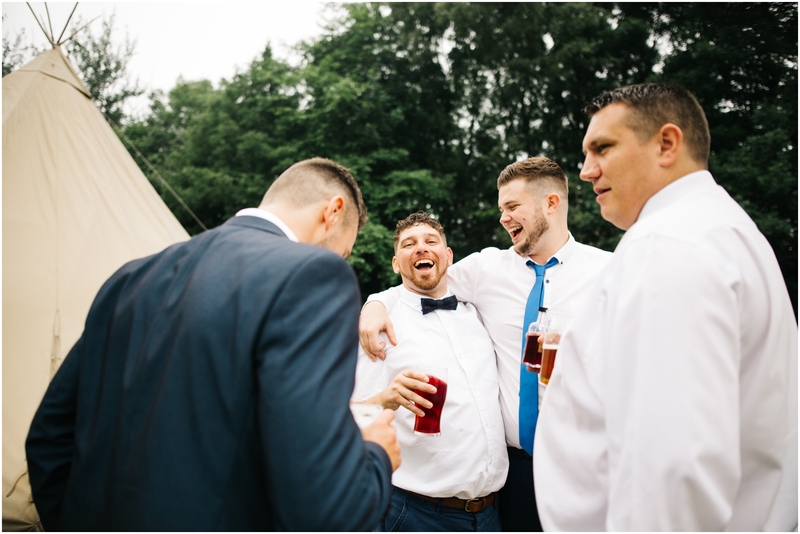 Drinks were flowing, jokes were flying and everyone was in full party spirit. 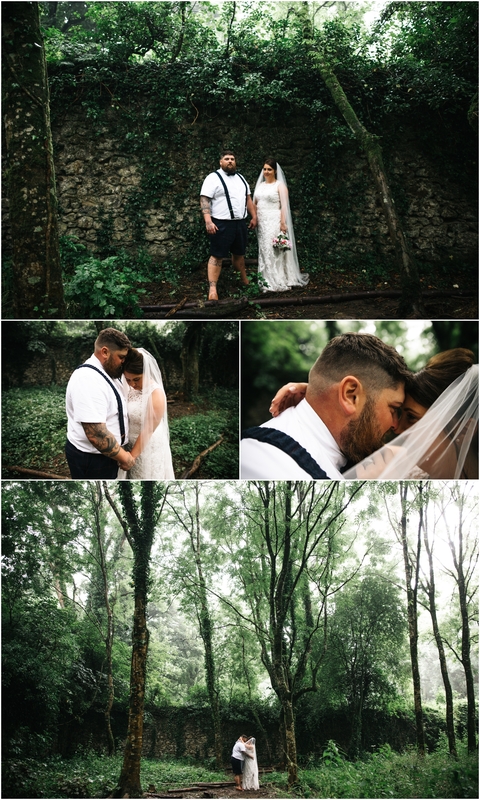 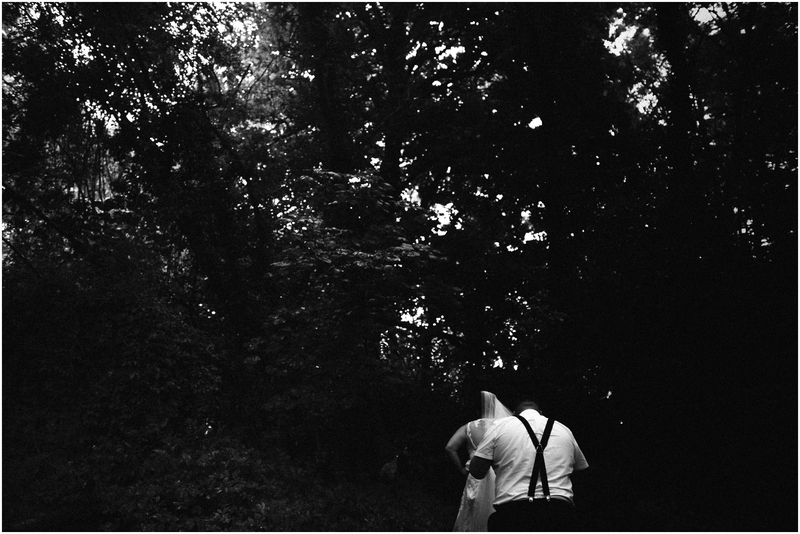 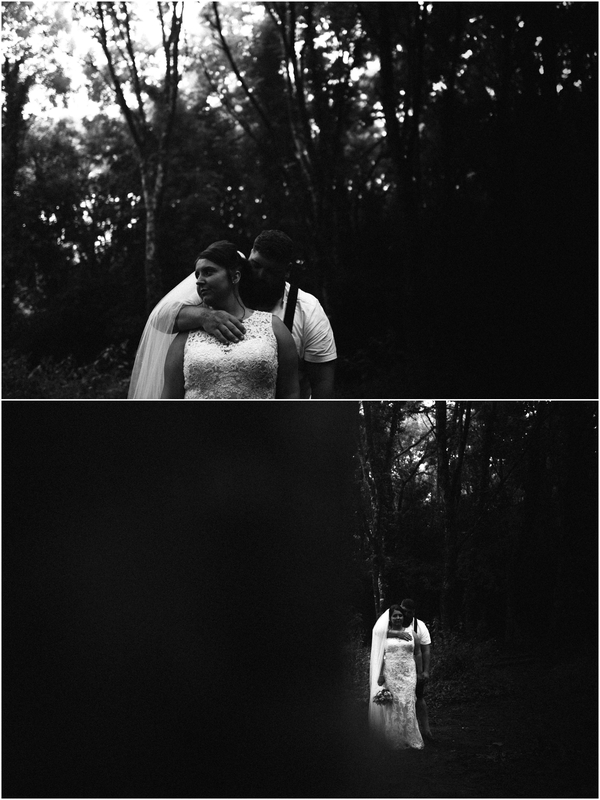 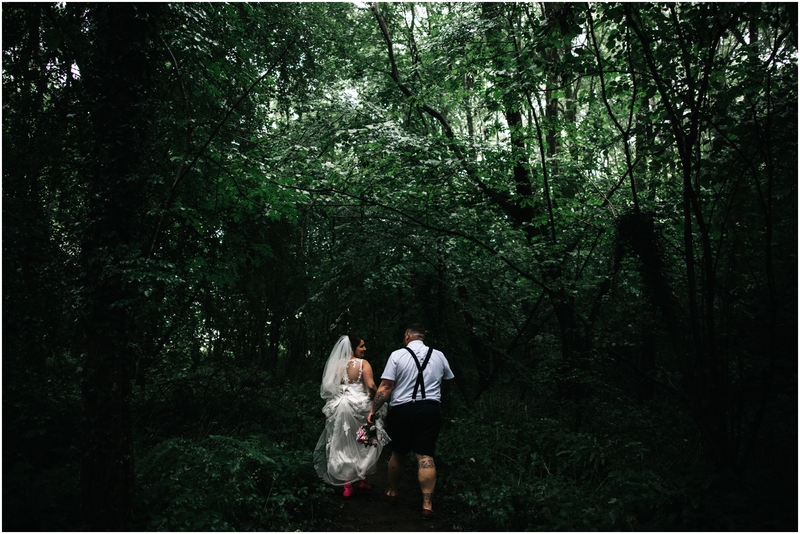 It was always of great importance to both Kelsey and Rob to document their day and their love for each other in photos, with that in mind Kelsey swopped her heels for DM’s and set off for the woods for some intimate couple shots. 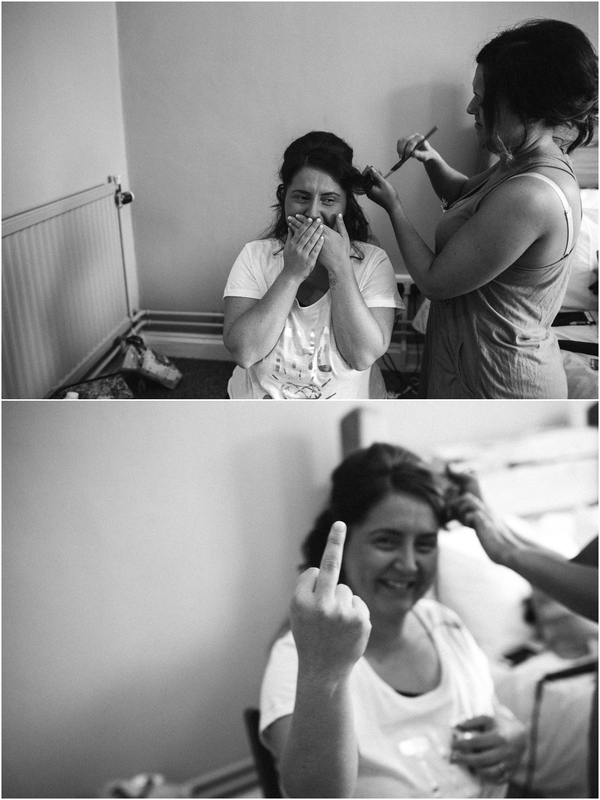 I’m sure you’ll agree the results were more than worth it! 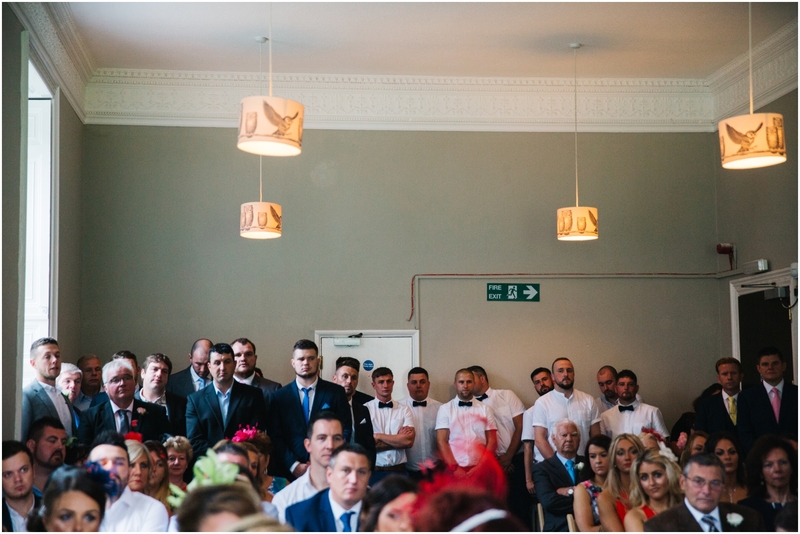 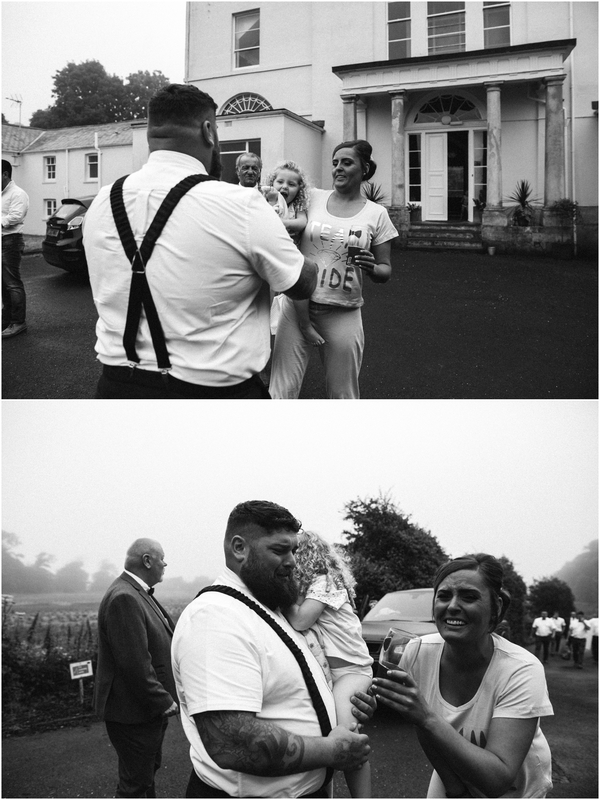 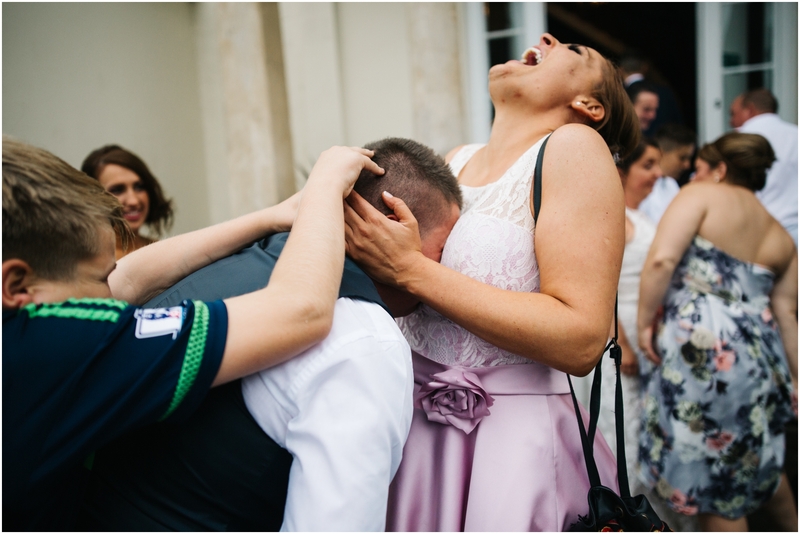 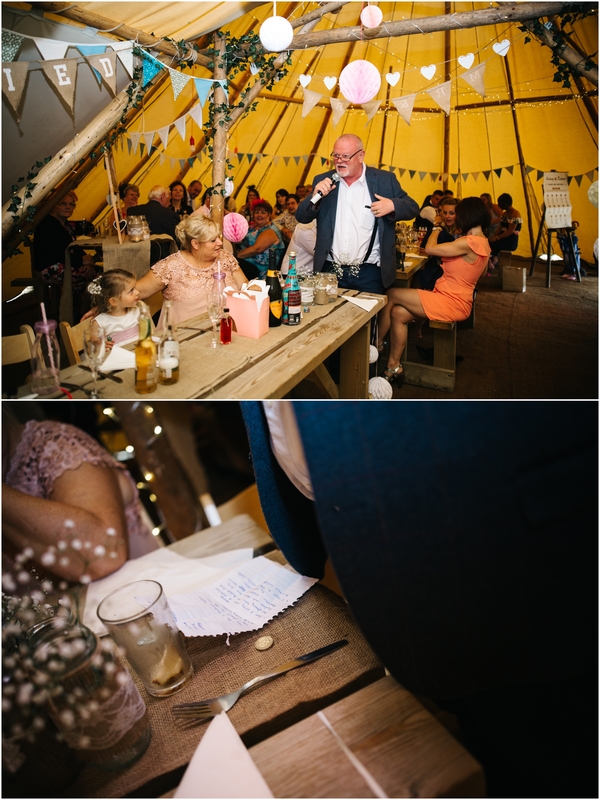 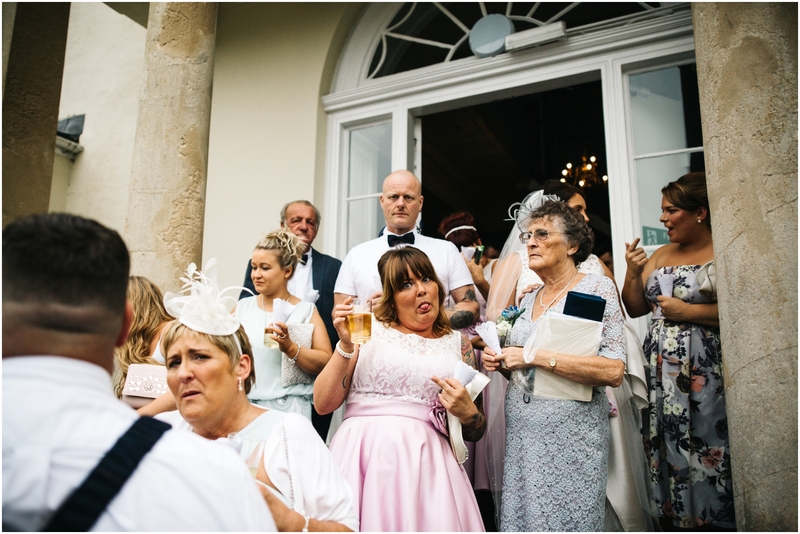 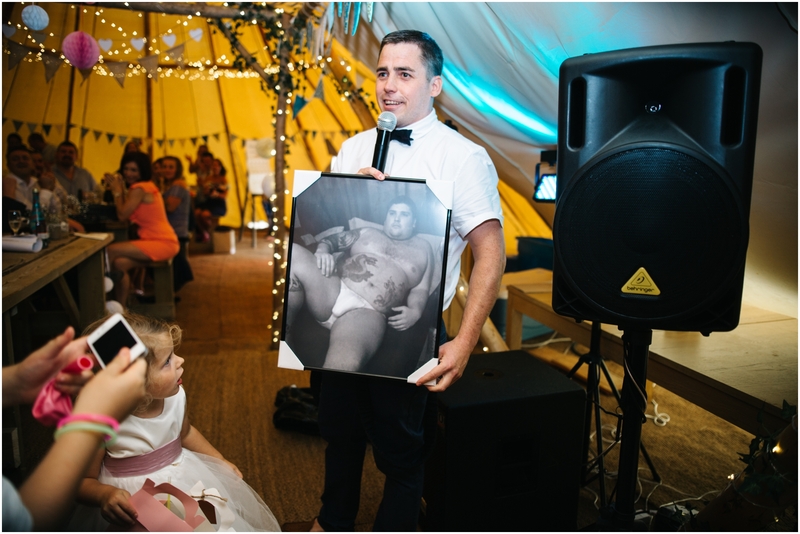 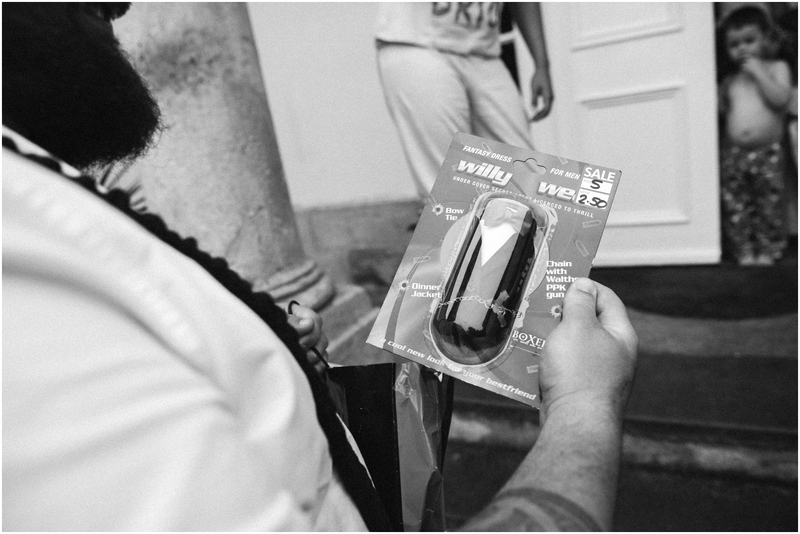 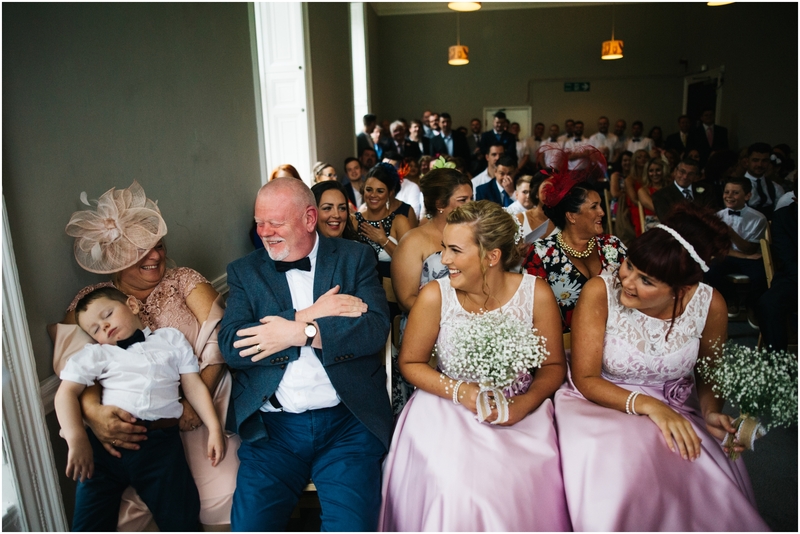 Speeches were awesome… a perfect balance of loads of laughter, cheeky humor, praise, love and emotion. 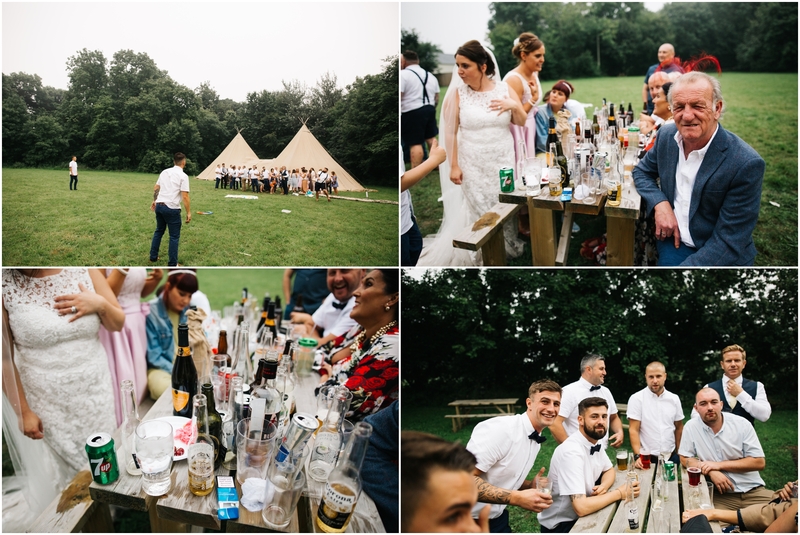 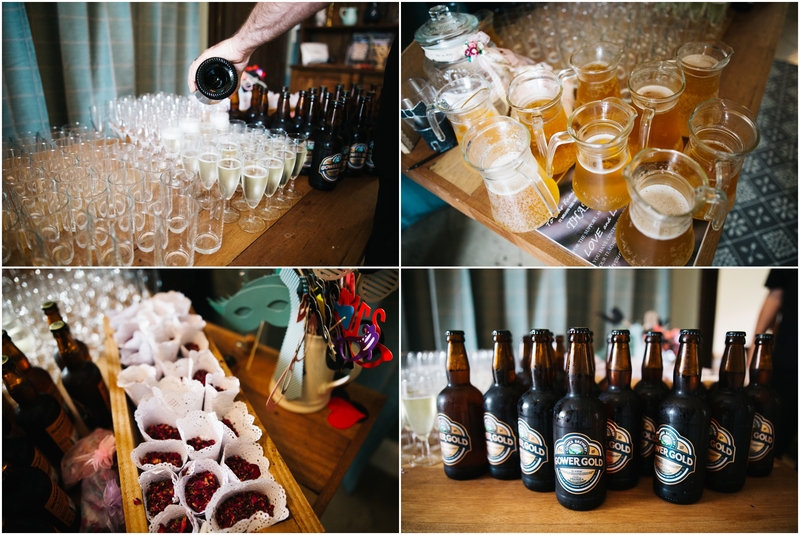 Guests feasted on a delicious BBQ meal and happily drank to their hearts content. 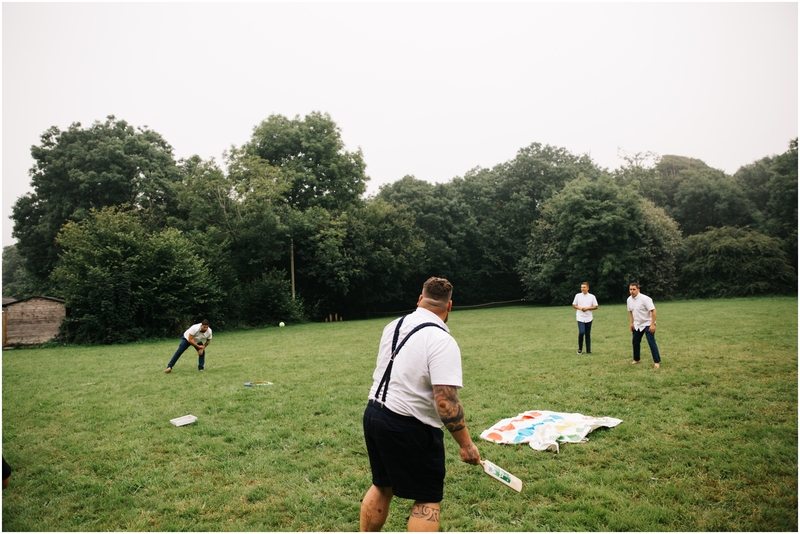 A break in the weather allowed Kelsey and Rob to join guests in an after dinner game of rounders on the lawn. 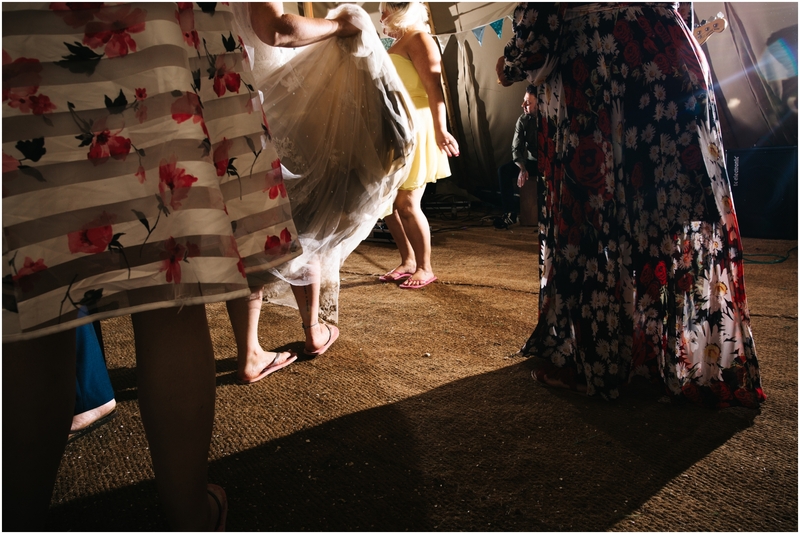 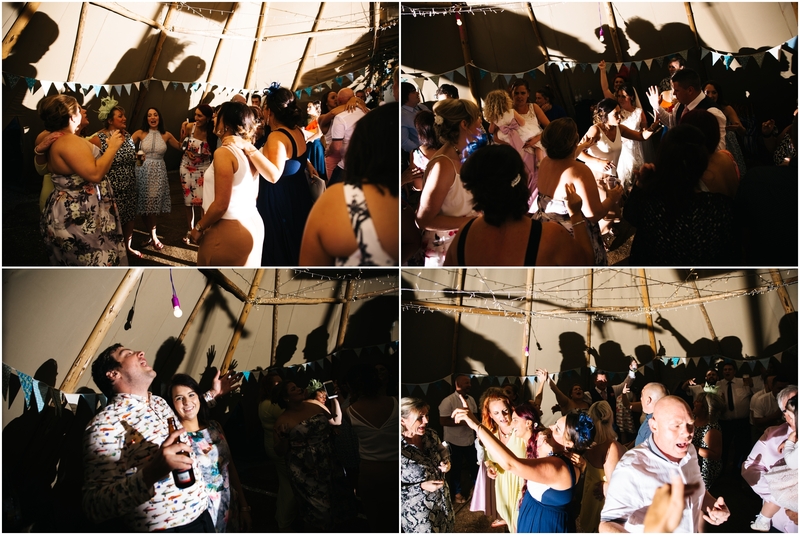 As day rolled into night the party took on a new direction with The Hummingbirds creating an awesome atmosphere and getting everyone up on the dancefloor! 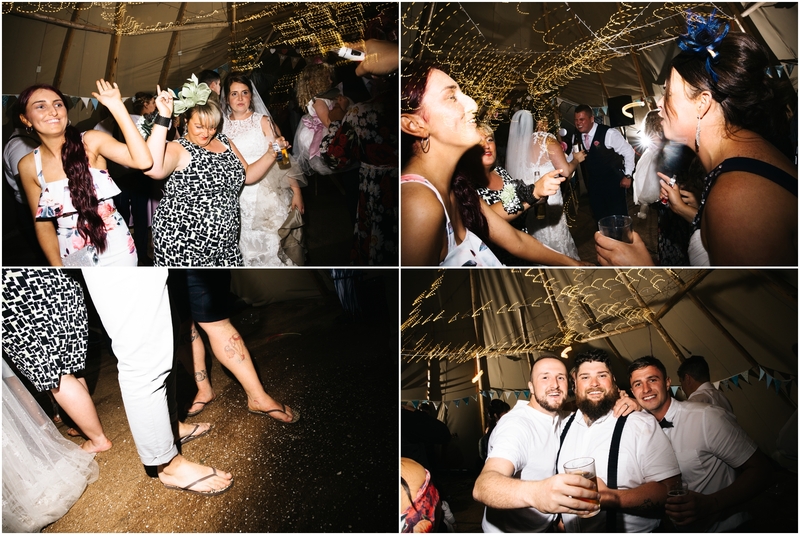 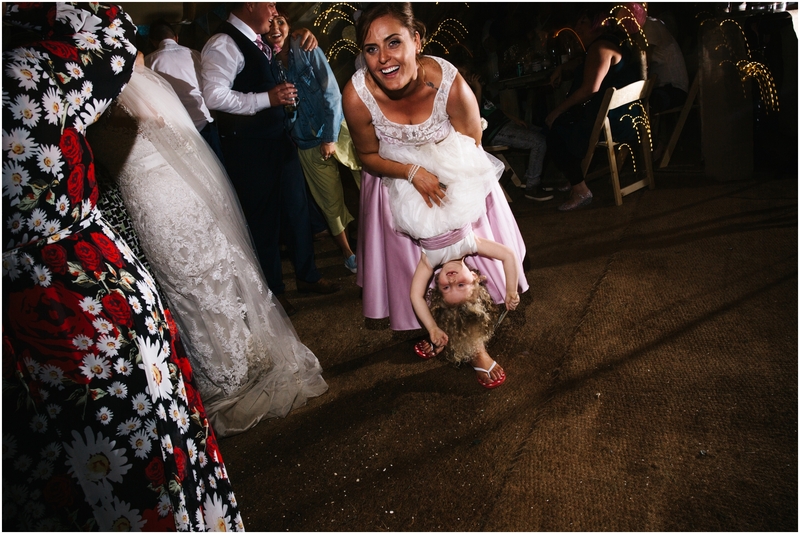 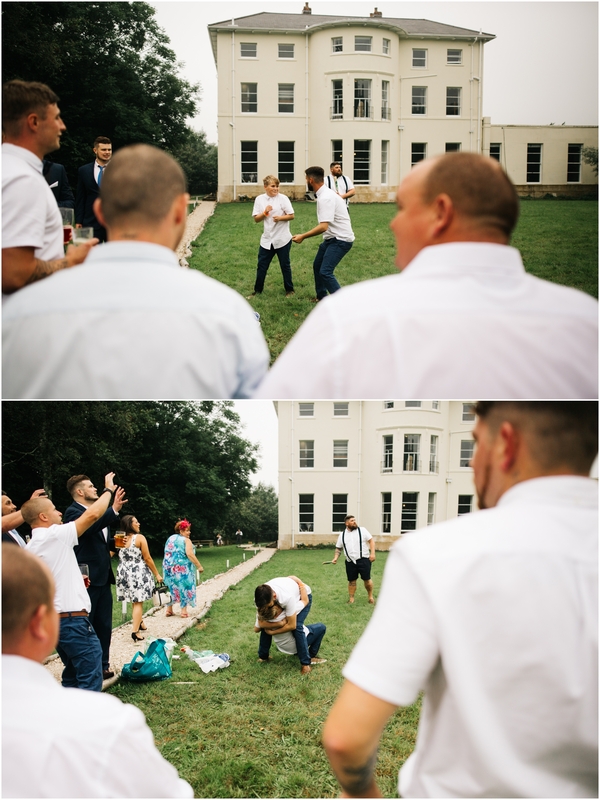 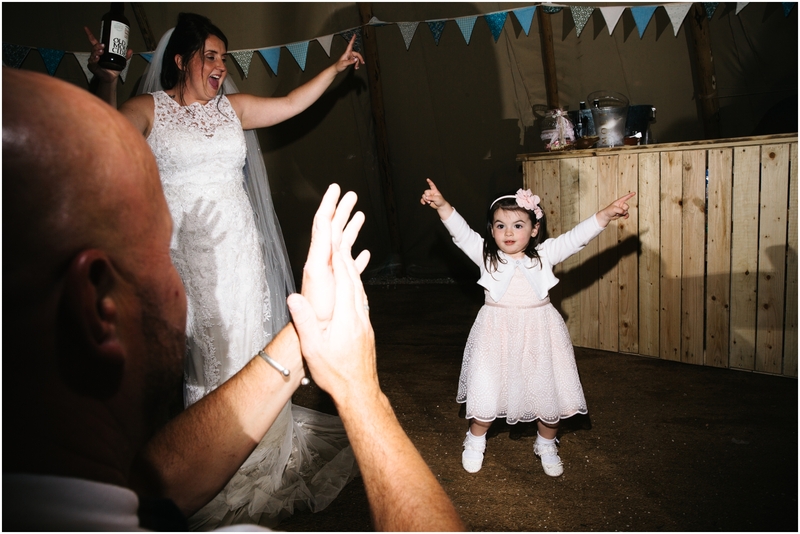 It was safe to say that by the time we left that night we could see that Kelsey and Rob’s wedding day plans had all come together, and we left a rocking party behind! 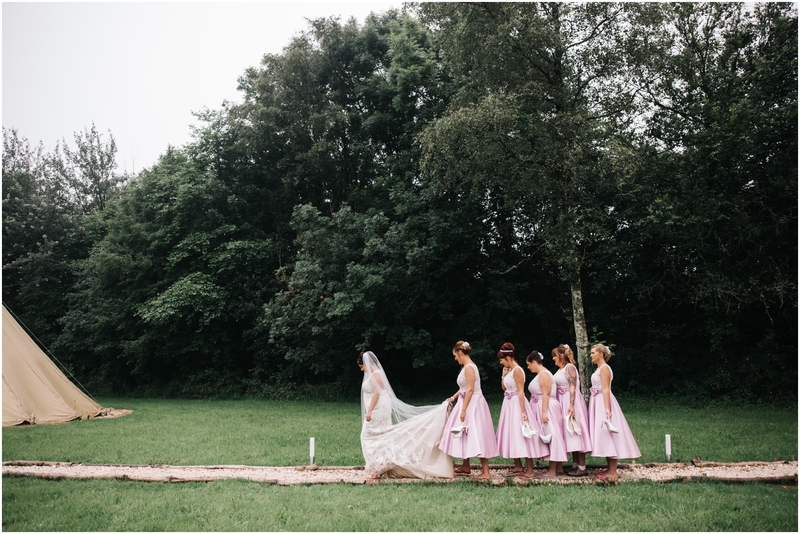 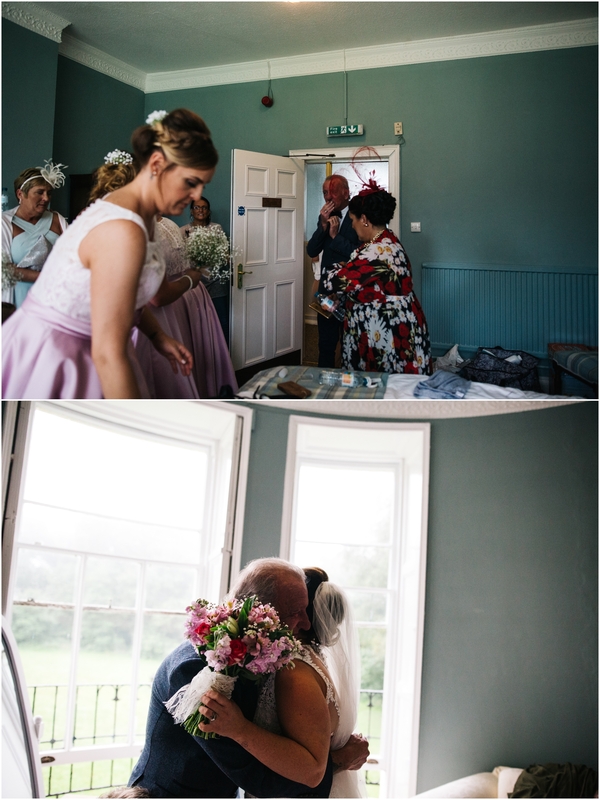 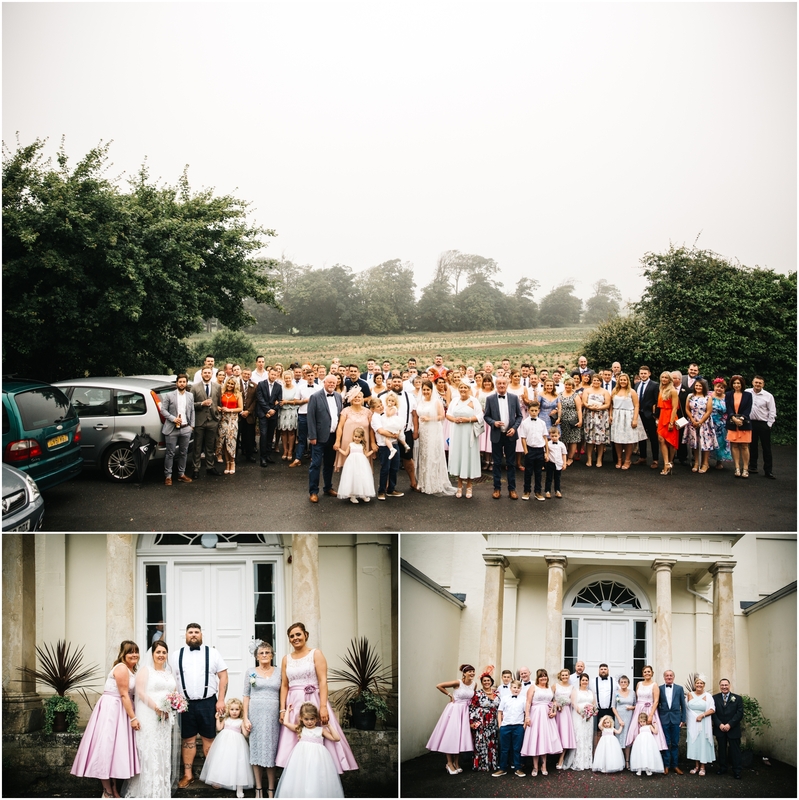 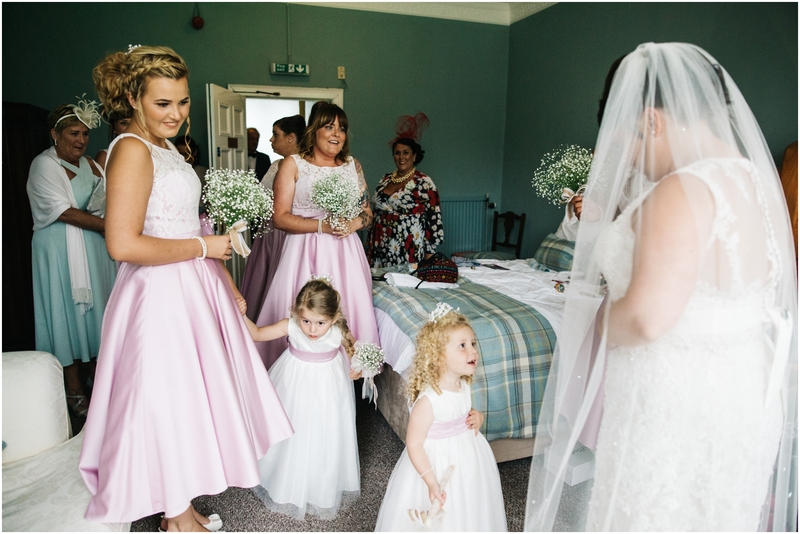 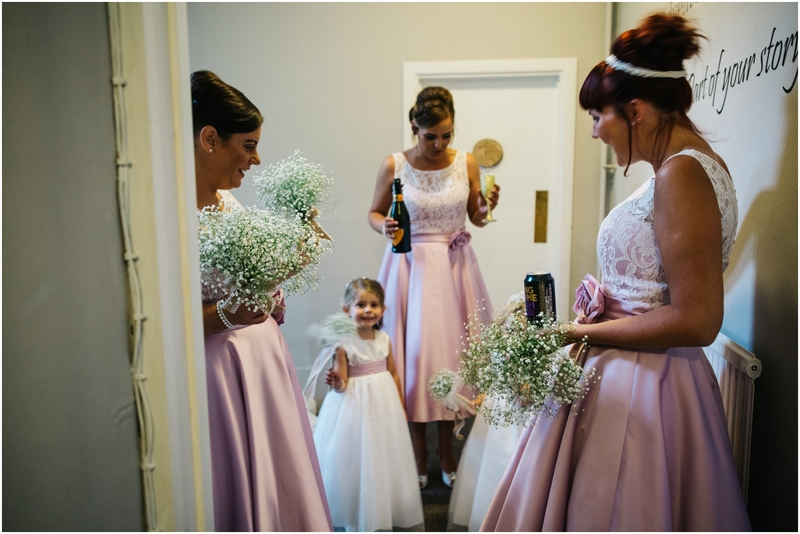 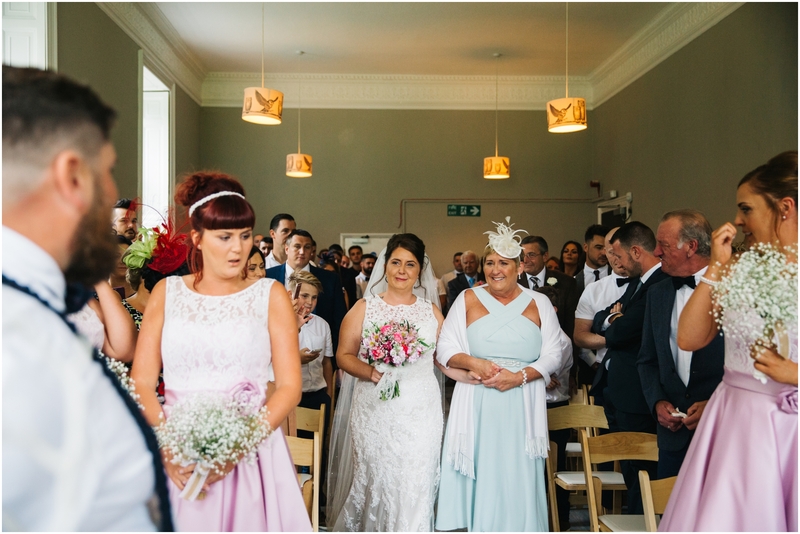 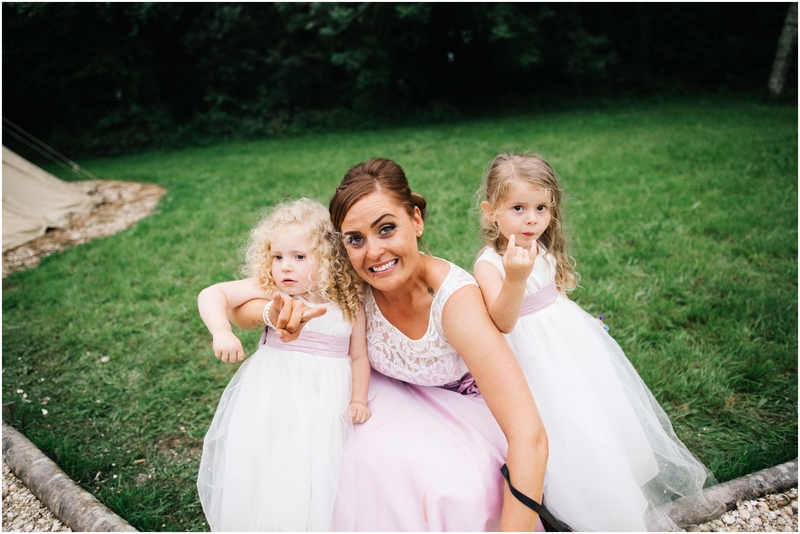 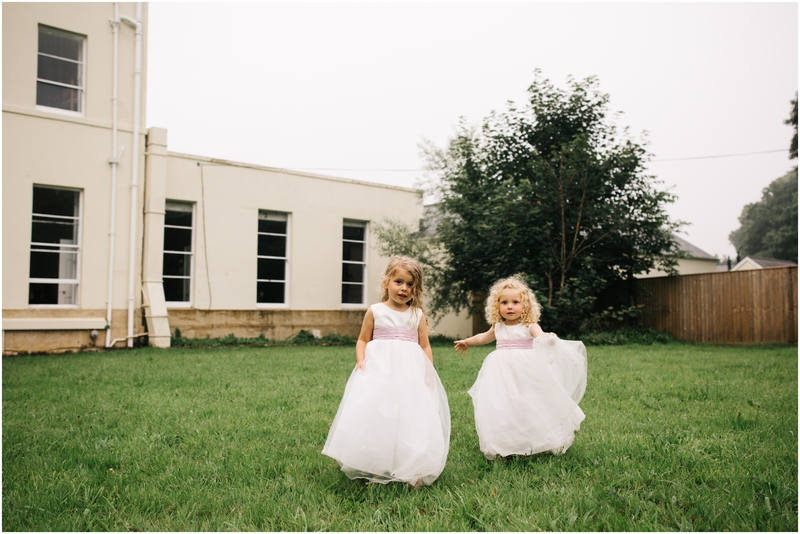 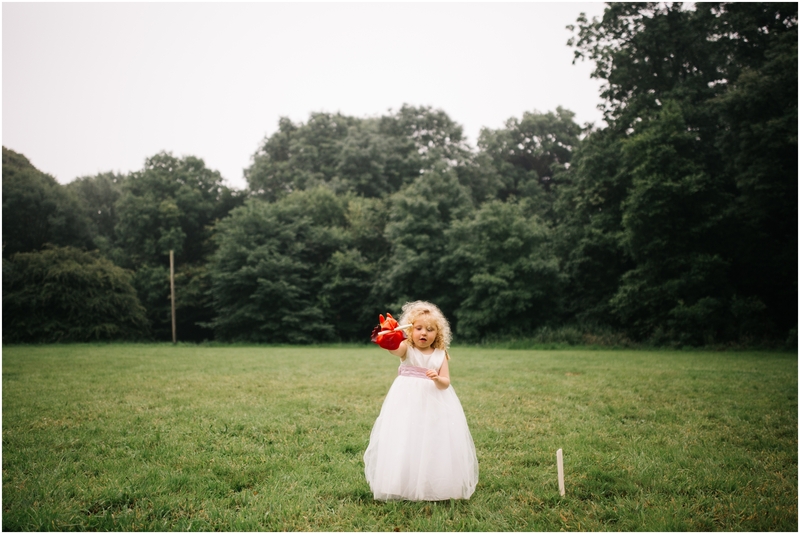 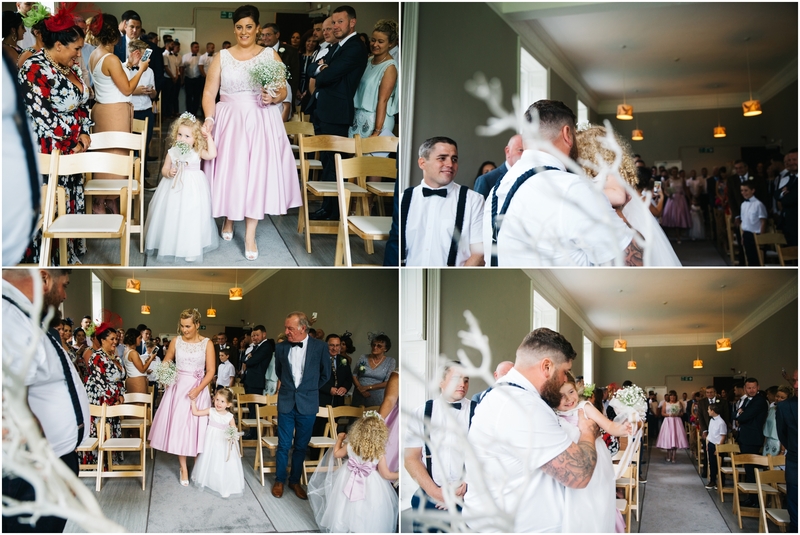 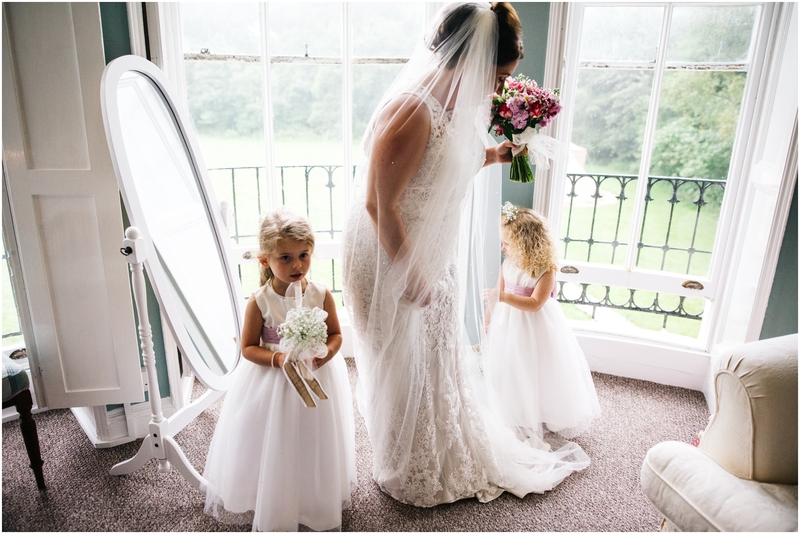 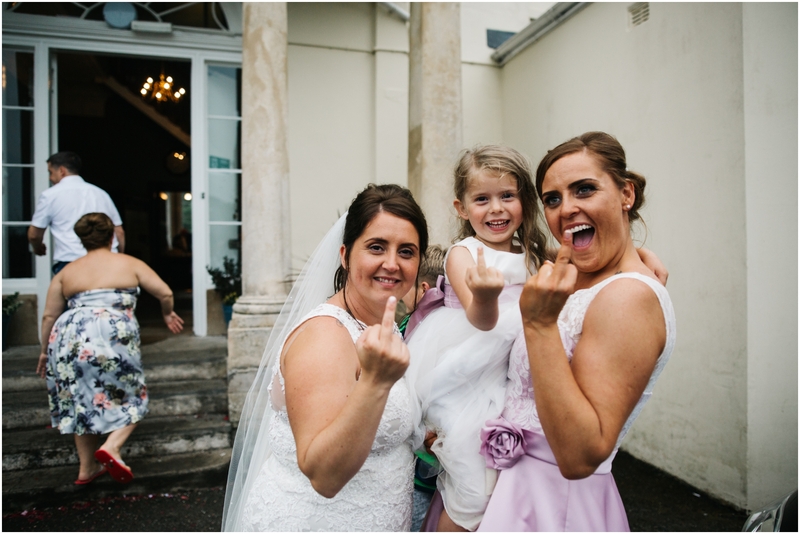 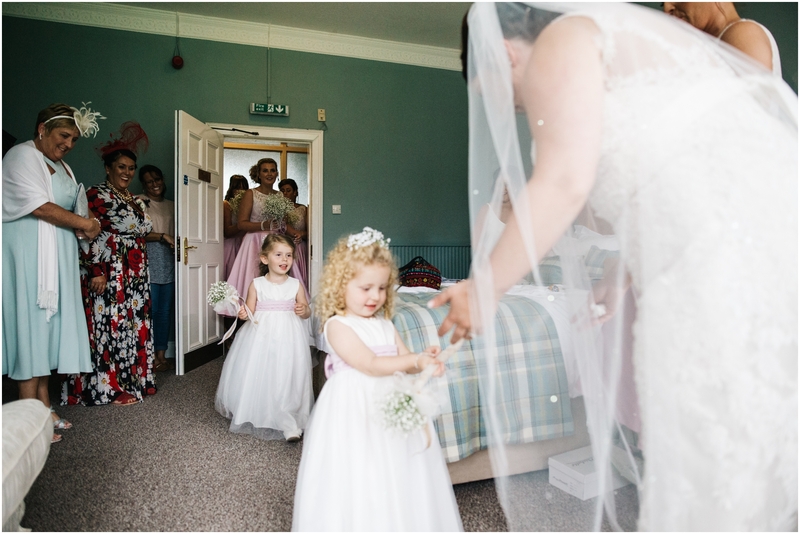 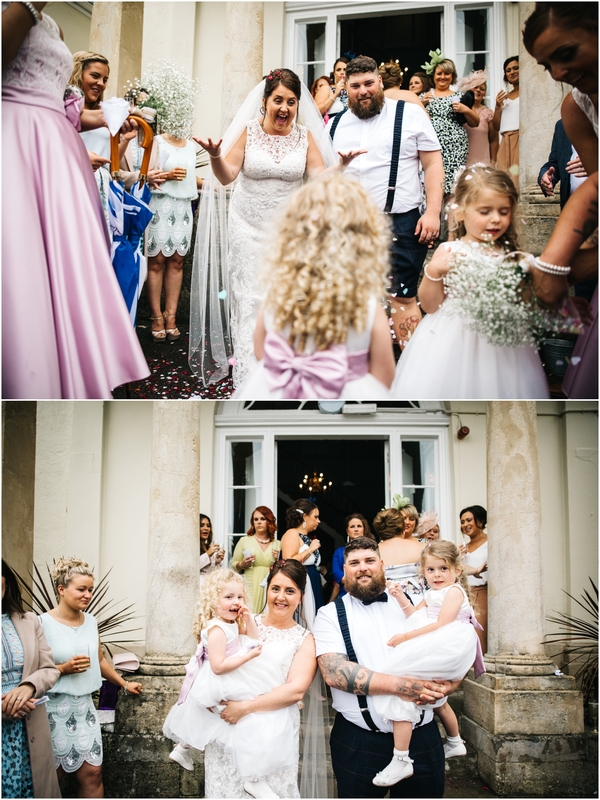 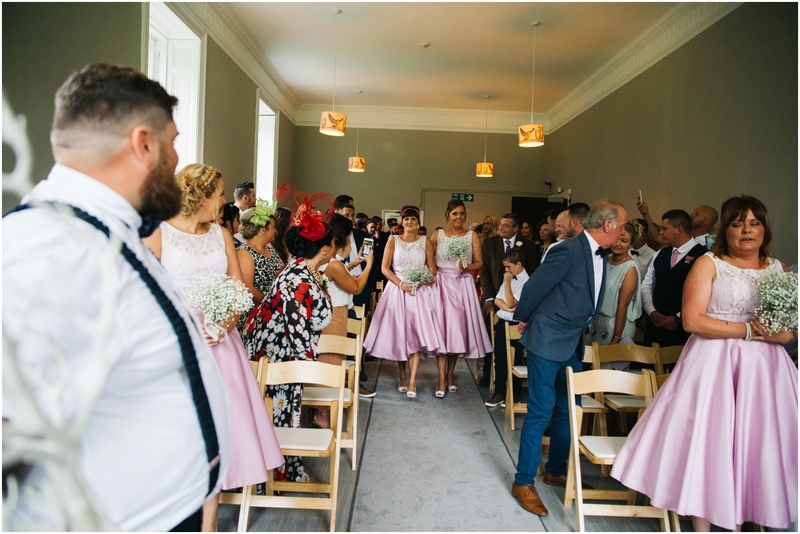 Such a pretty wedding… turns out stunning in images! 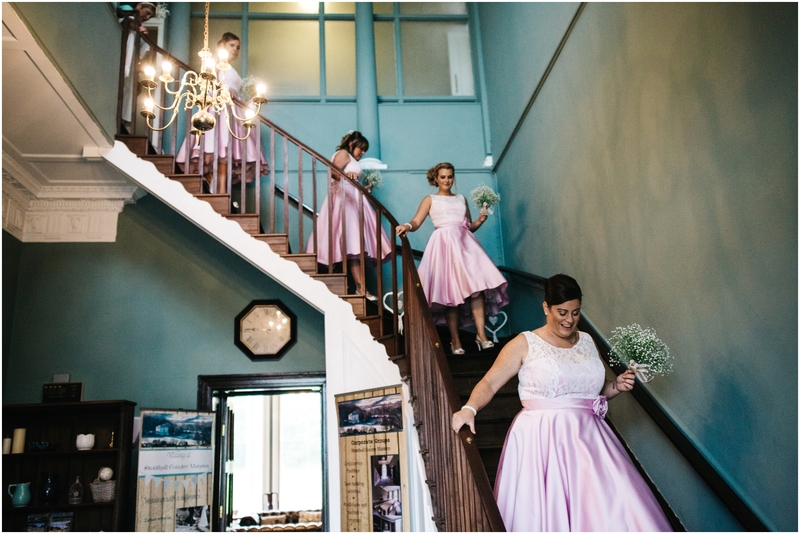 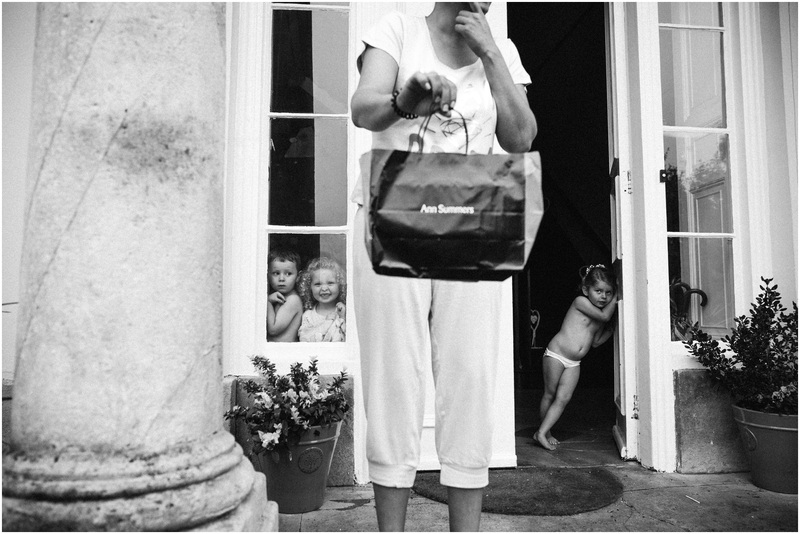 The photos themselves are beautiful and timeless.